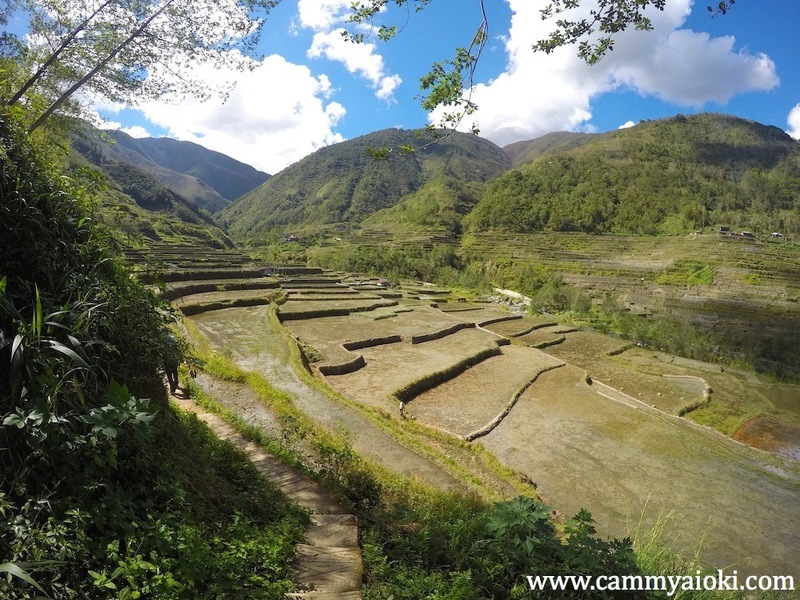 Take a direct bus from Manila to Banaue via Ohayami Trans. Surprisingly, the bus ride which lasts about 10 hours, with regular stopovers along the way, was rather smooth and comfortable. My tip though is to buy tickets in advanced as tickets run out very quickly especially during peak seasons. 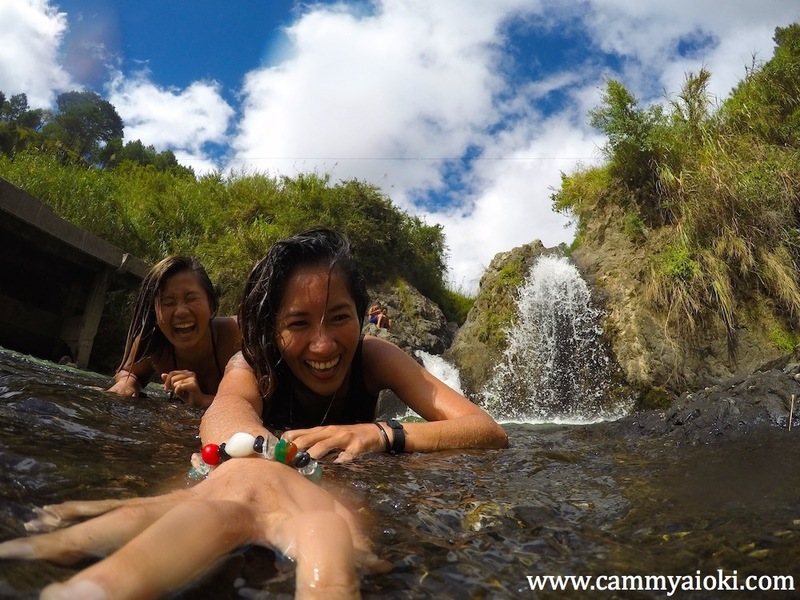 Be sure to get all the sleep you can in transit as you don’t want to waste your day when you get to Banaue. 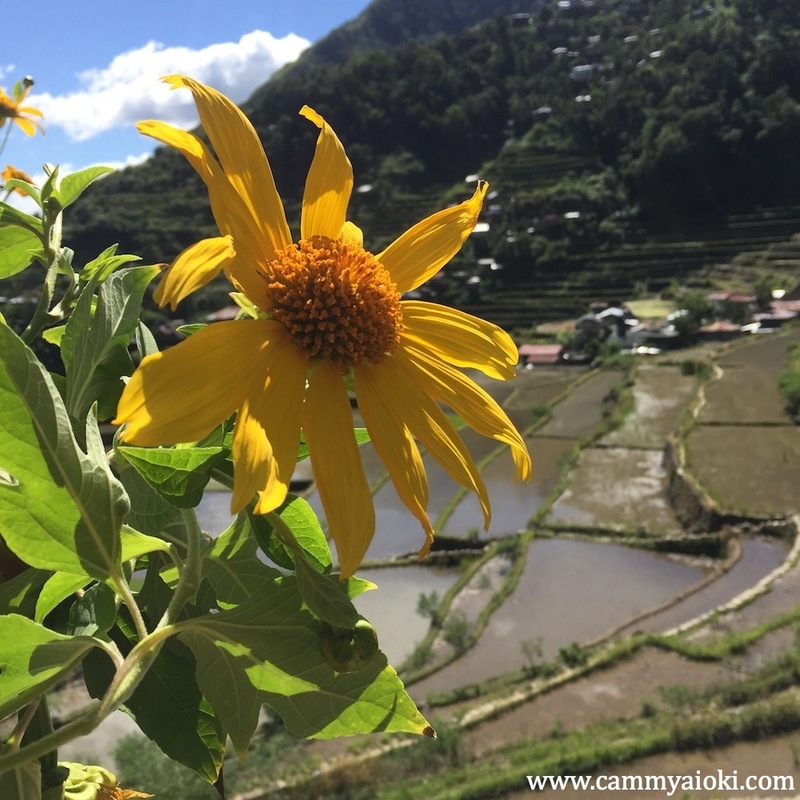 You will arrive Banaue early in the morning. 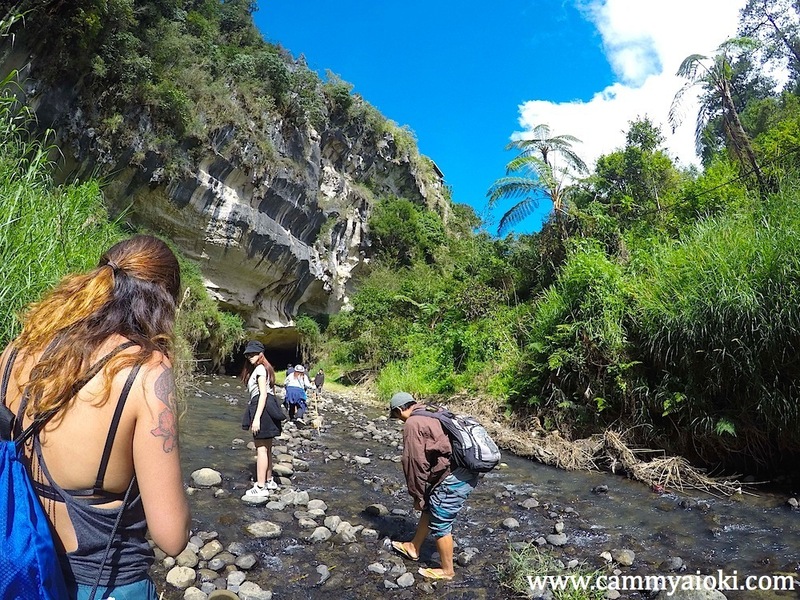 The guides might direct you to the Halfway lodge and Restaurant where you can have breakfast with a view and be briefed about the different tours. However, do not settle for this. The guides there can also help you with accommodation. We stayed at People’s Lodge and we were pretty much happy with our stay. It had a good location, food, view, and the beds were pretty comfortable. 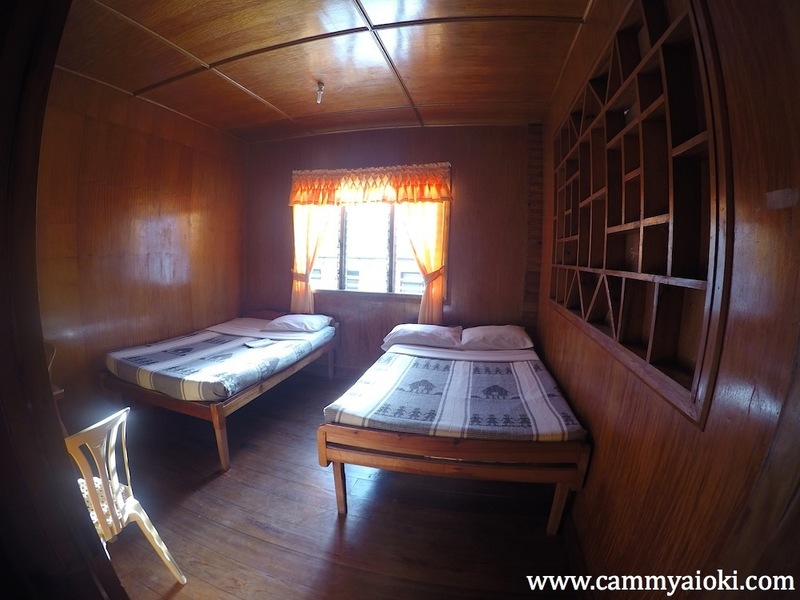 A private room for two costs 300php a night with hot shower but don’t rely on the “hot” part so much as we barely got any during our stay. We had a private bathroom though, and the staff were friendly, so all in all, it was value for our money. 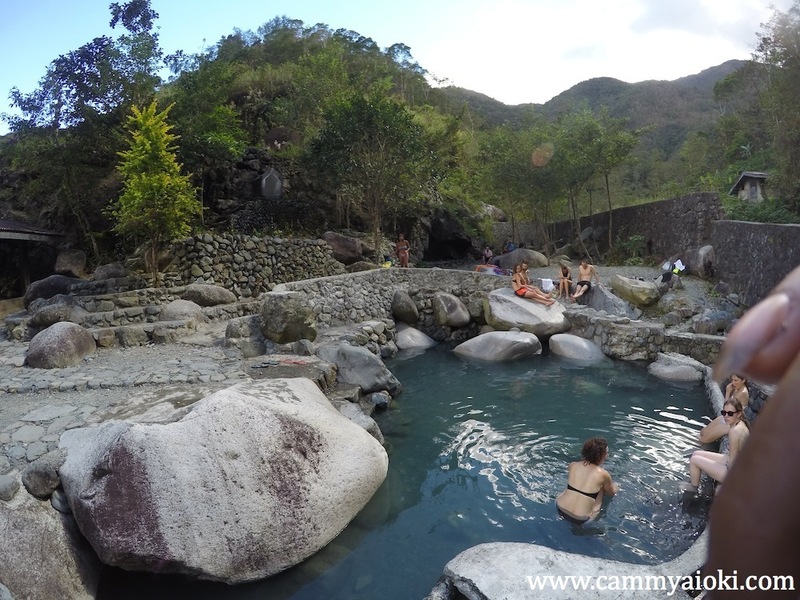 After freshening up, you can go straight to the Bogyah Hot Spring and Hapao River. We settled for the private tour on a tricycle for 700 php (2 pax). However, I’m pretty sure you can find a group/ shared tour for a cheaper price and it can be more fun if you get to meet other people. Don’t forget to buy some “supplies” at the shop along the way. 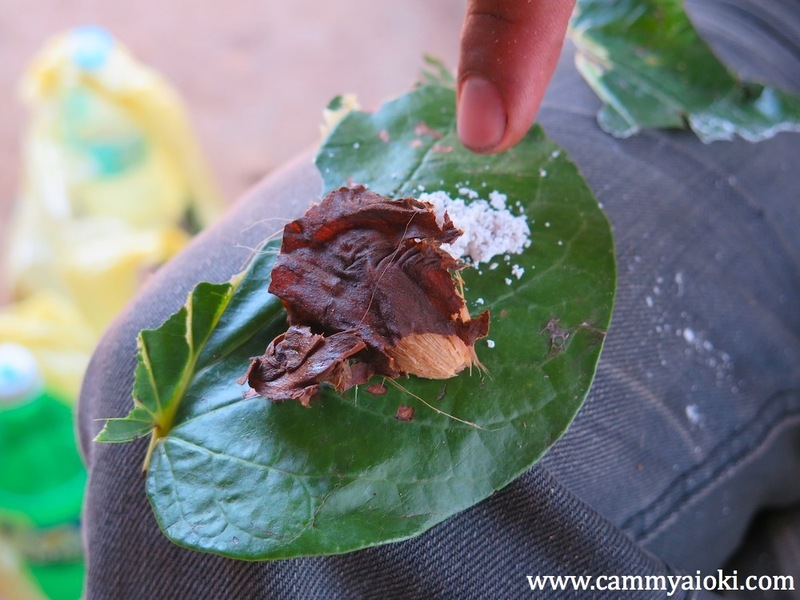 You will notice a lot of locals chewing on a red-type of "gum" that apparently works like a cigarette or drug of some sort called "nga nga". We were told that in moderation, this keeps them warm and it gives a certain type of "high". The sad thing though is that they usually spit the residue on the ground which makes the place look dirty and unsanitary. 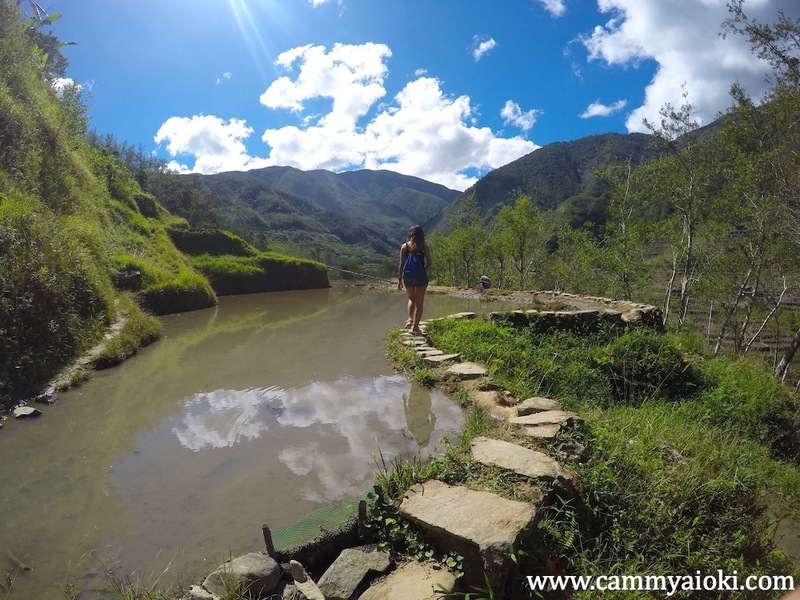 The narrow path to the hot spring will include a breath-taking view of the rice terraces (but you have seen nothing yet!). 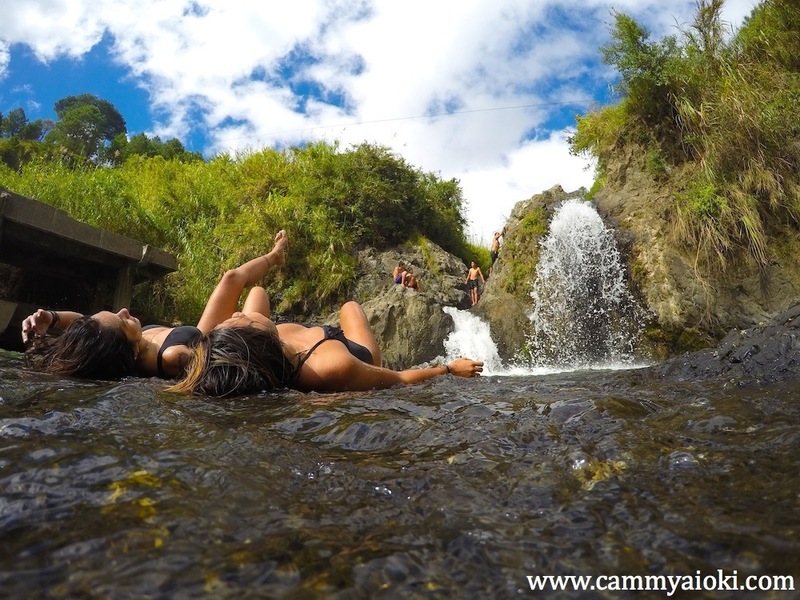 The trek is only for about 45-minutes to an hour and when you get there, don’t forget to bathe in the river too. We relaxed here for about 1-1.5hrs. 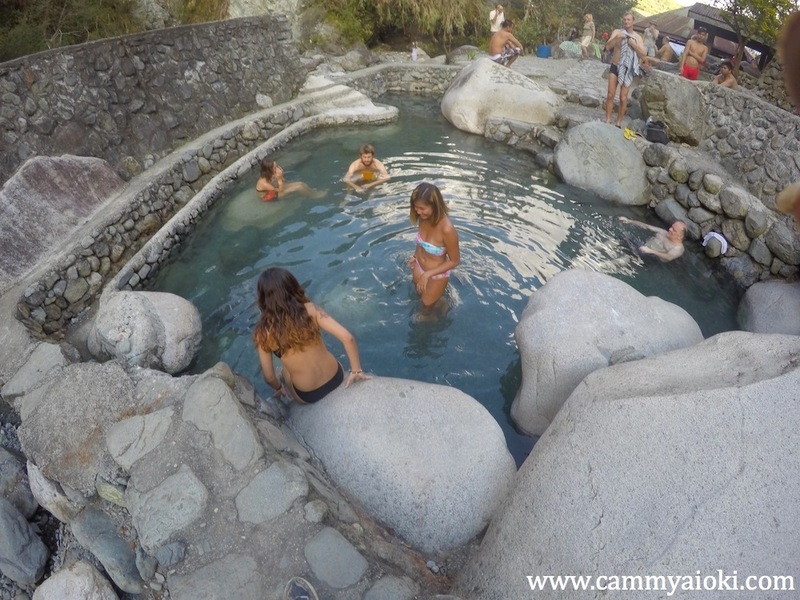 I have never been on a natural hot spring before so I really enjoyed this tour. You can also check out the wooden bikes at the view point. Just ask your guide about it. It's actually much harder to maneuver than it looks. 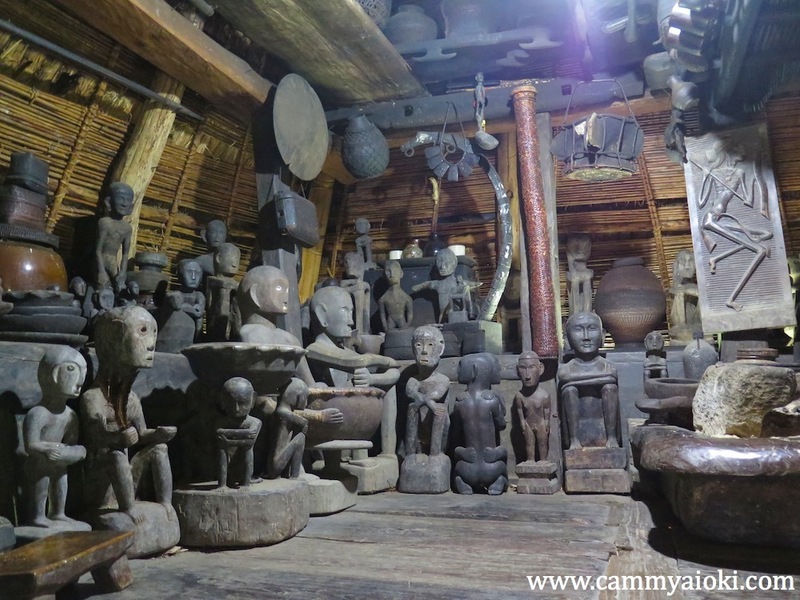 If you have time, check out the Heritage Village to see ancient Ifugao houses and how they lived before. 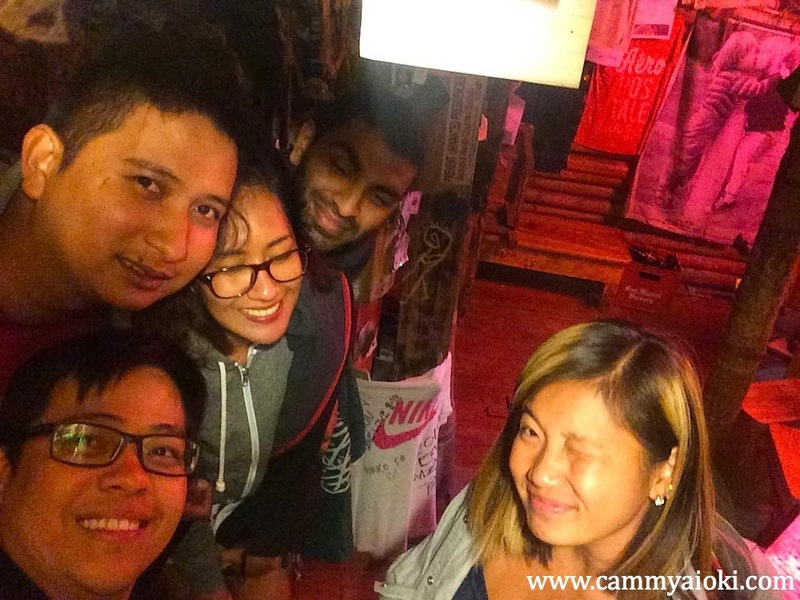 Banaue implements a 10PM curfew, but knowing Vanessa and I, we couldn’t just settle in our rooms so we wanted to explore the town. 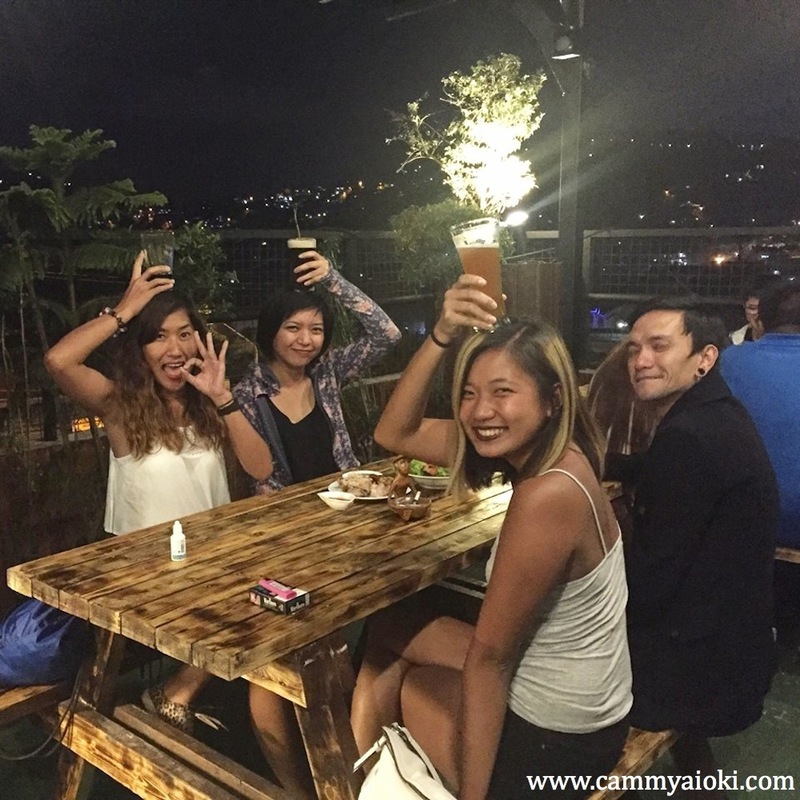 Head on over to the bar at Banaue Hotel and Youth Hostel for a drink or two, maybe even three. The drinks were pretty cheap and were not bad for the price. 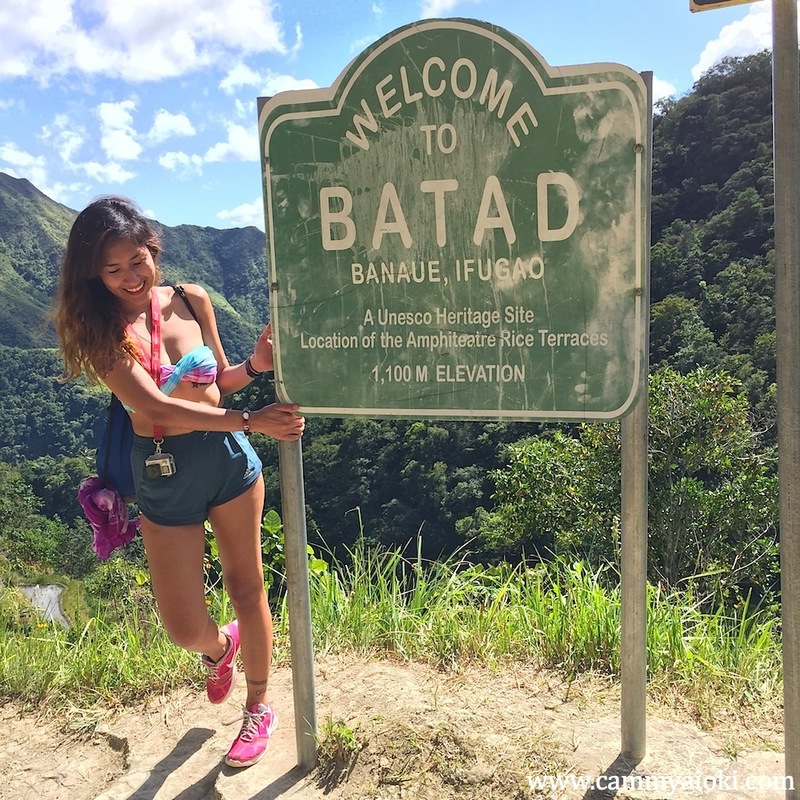 Some people do a two or three day hike to Batad. However, we opted for the one day hike, which is what I would recommend. 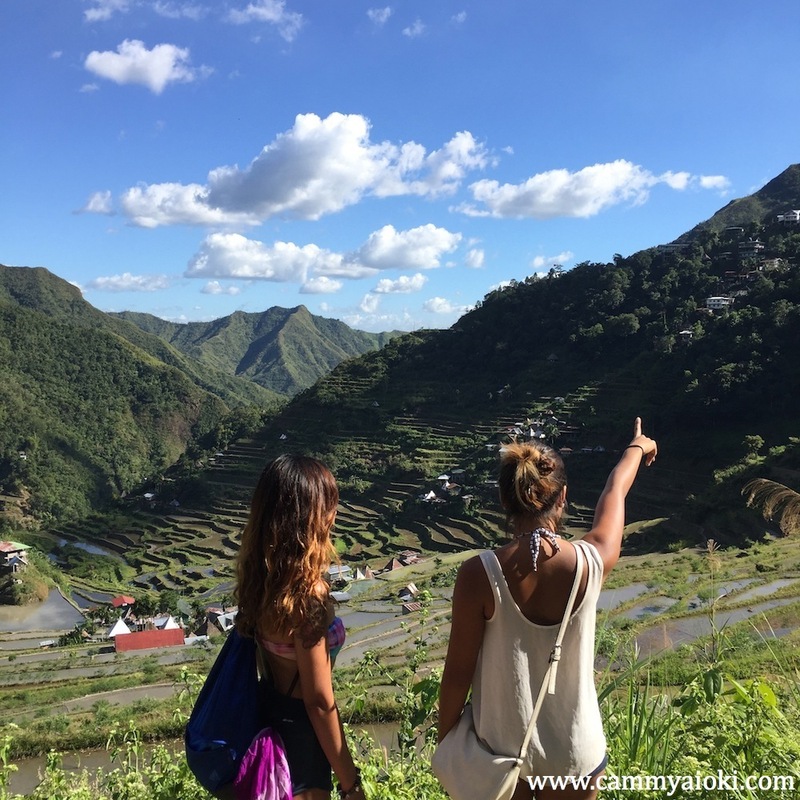 You won't need to book accommodation elsewhere because Batad would just be a 40 minute jeepney ride from Banaue. 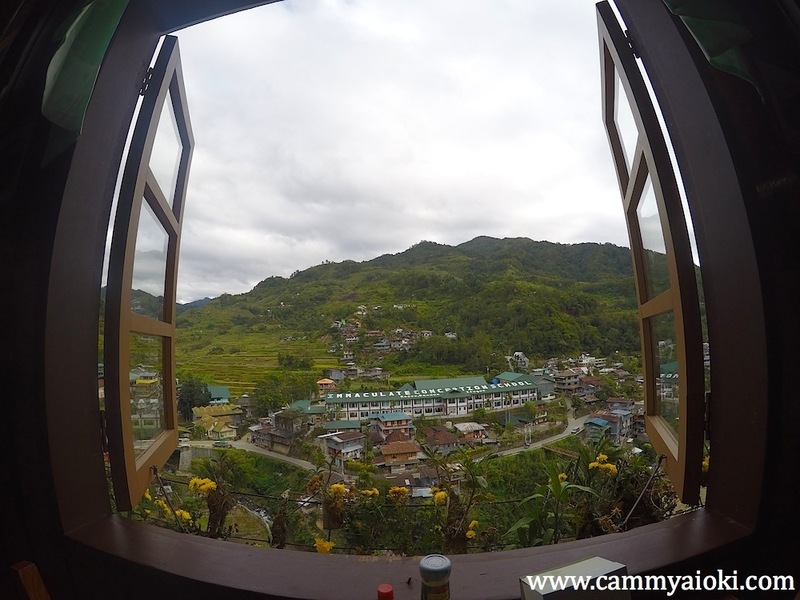 Wifi was pretty hard to get at Banaue, especially at our hotel. 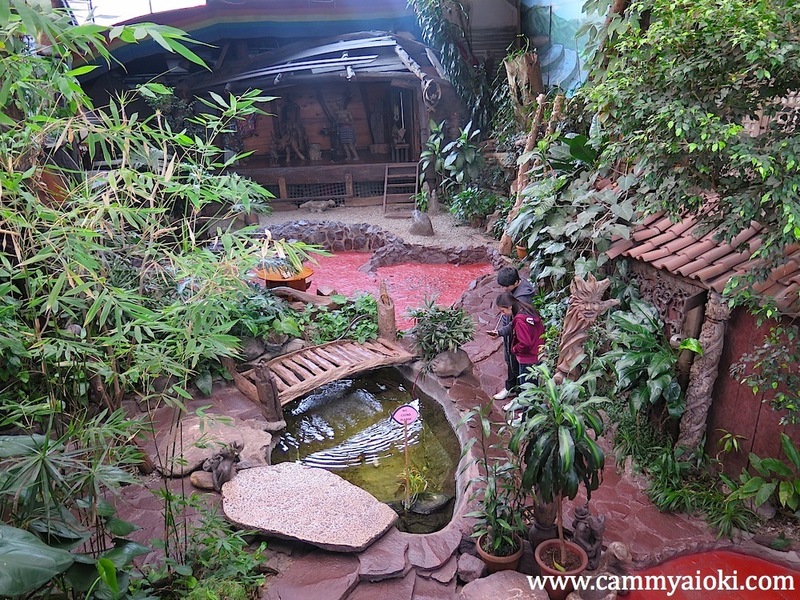 However, the restaurant beside us called Uyami's Greenview Lodge and Restaurant had a really good connection so that's where we often had our coffee/ breakfast. For this tour, we opted to ride a shared jeepney. Don't forget to ride top-load for the best view in transit! 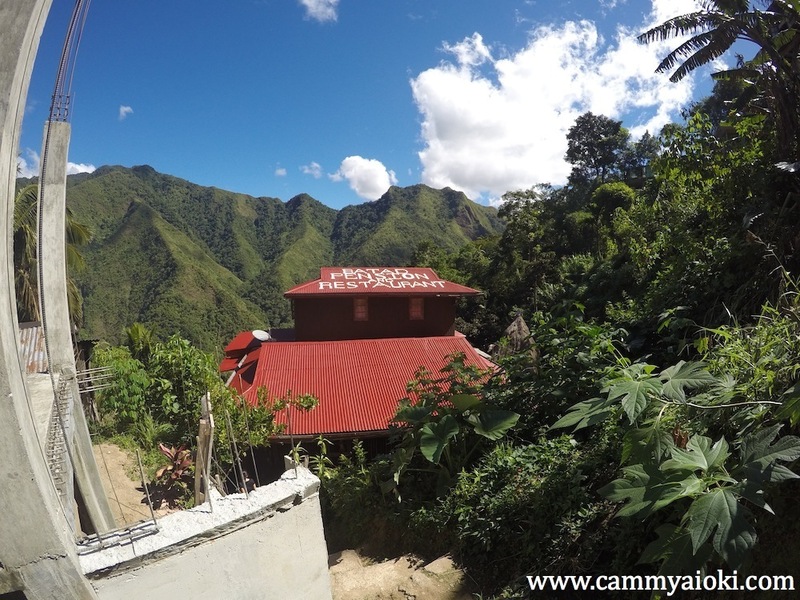 Make sure the jeepney will take you directly to Batad as there are some that will only go until saddle point. 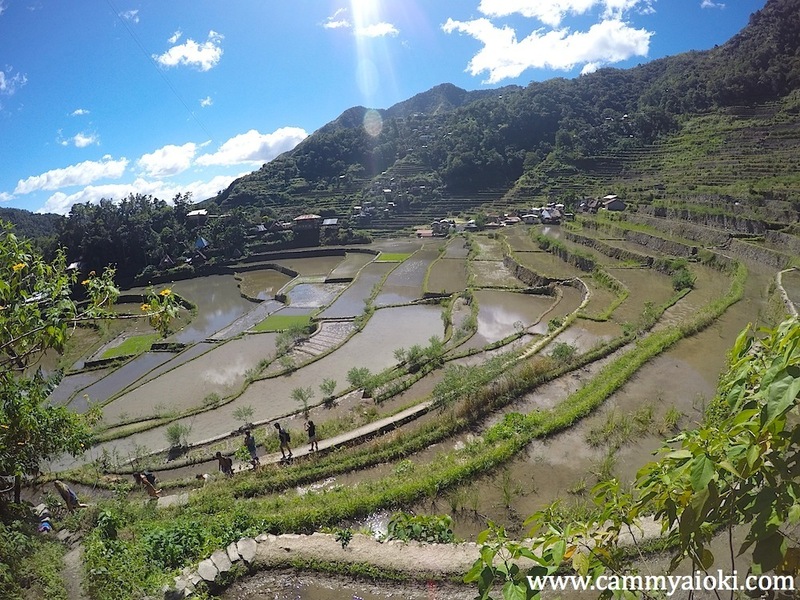 The one-day trek will take you to an amazing view of rice paddies on your way to the Tappiya Falls. 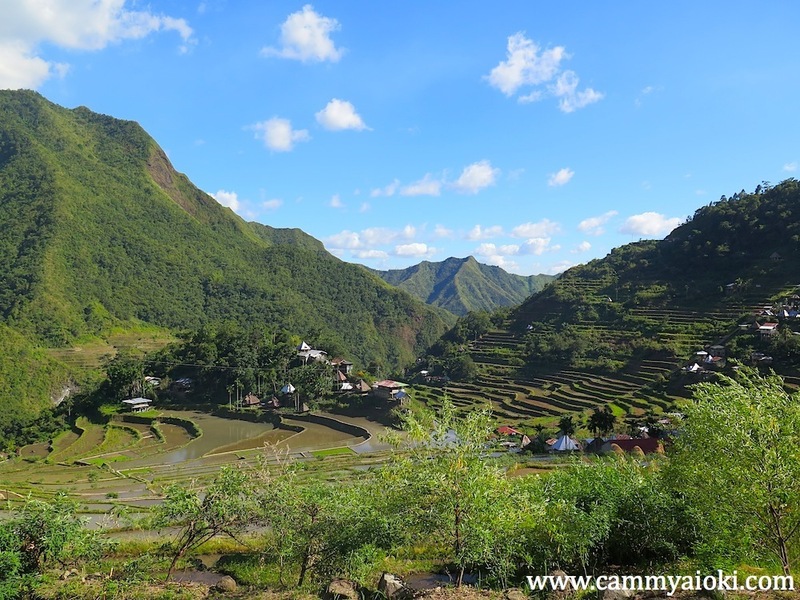 The rice terraces in Batad are higher than the ones you will see in Banaue. 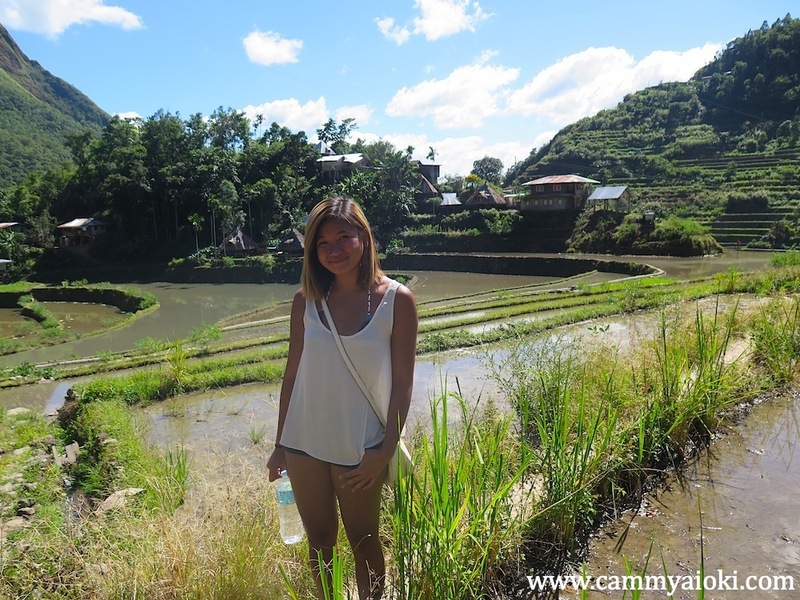 It would be best to go when the rice terraces are green, however I forgot which months those are. Nonetheless, I assure you that no matter what season you go, the views would be breathtaking from every angle (except for maybe when the rain is pouring). 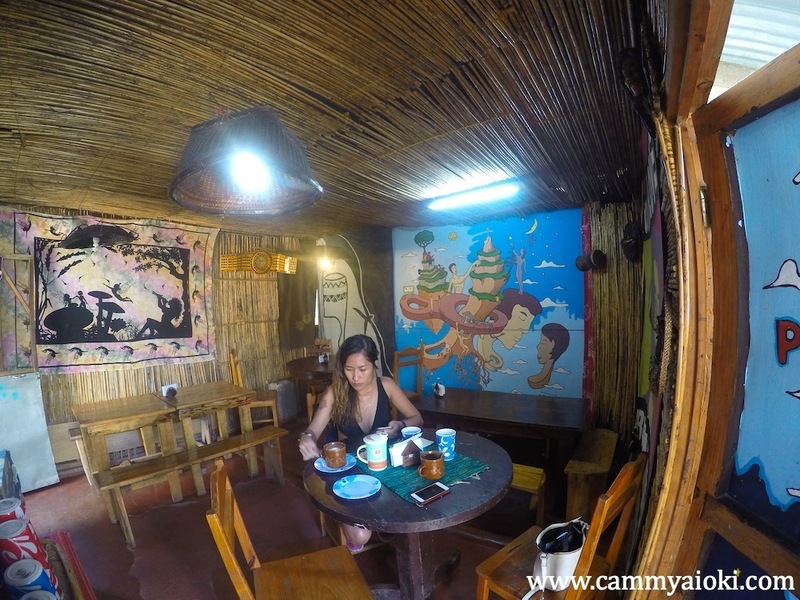 Before we went on with the trek, we were asked to order lunch at the Batad Pension and Restaurant just so it would be ready by the time we got back. I assure you, you will be starving by then. The food's really good too! 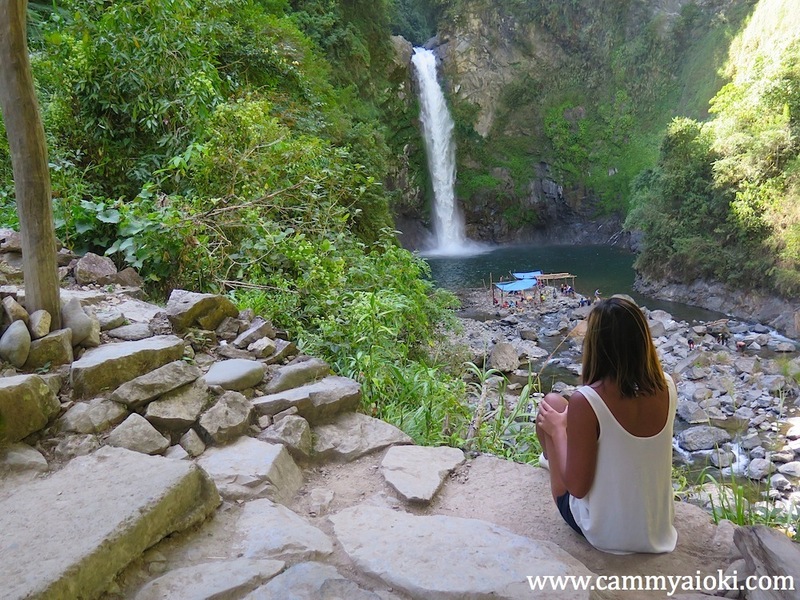 I found the path at Batad a little narrow and I felt a little anxious at some point since there were steps smaller than my foot. There are also steep parts, so be sure you have footwear with good grip and support. However, you need not to worry as it is generally safe - given that you watch every step you make. 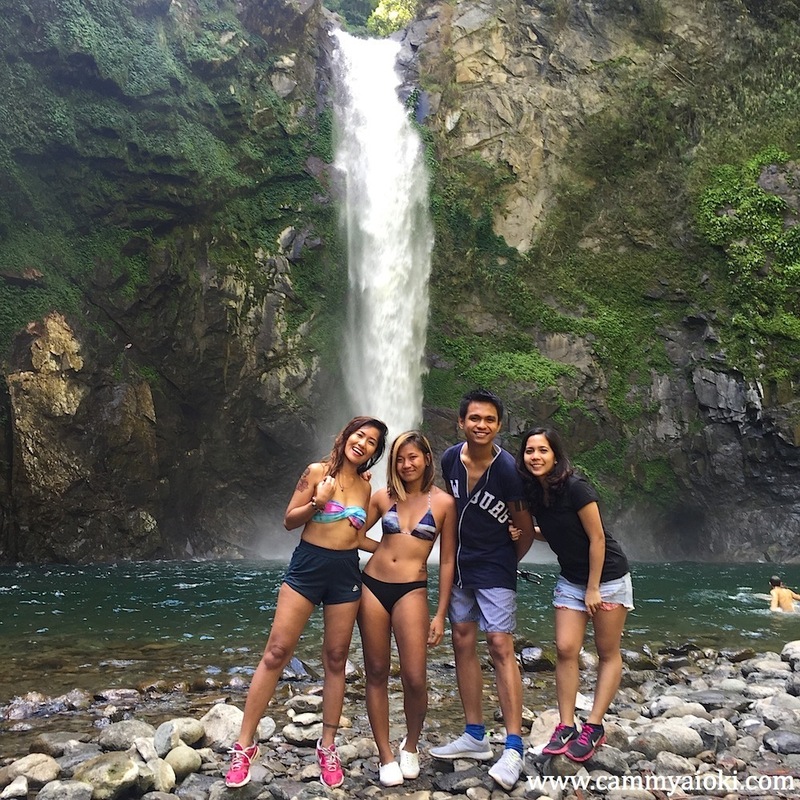 When you get to the falls, it would be the most rewarding feeling especially if you struggled with the trek, like I did. 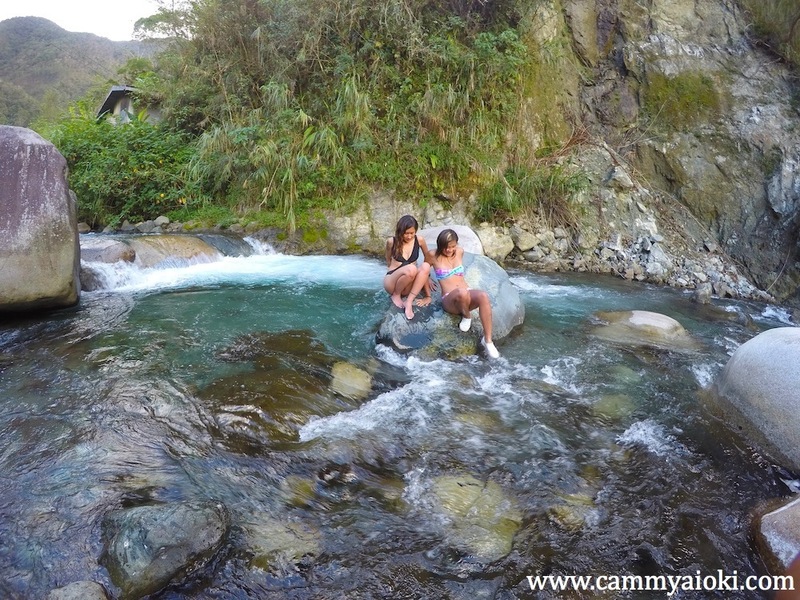 The water was cold and refreshing! 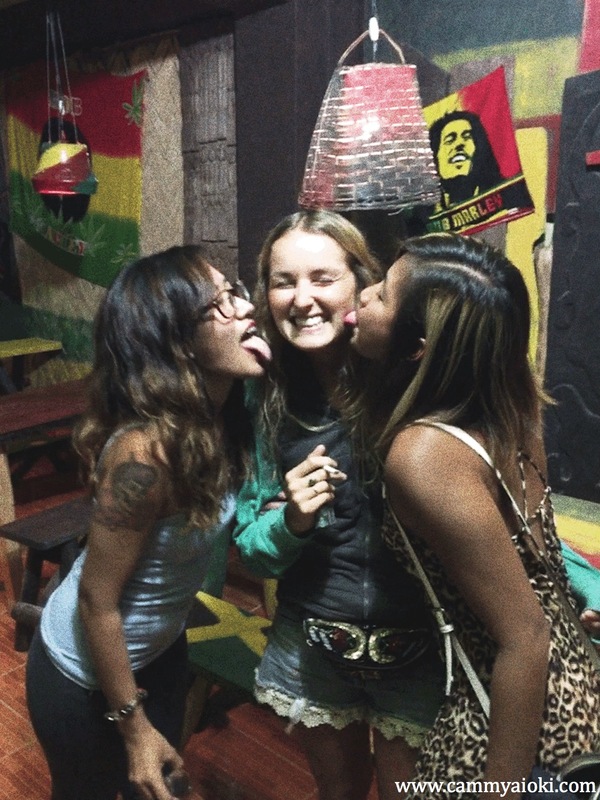 We ended our night at a Reggae bar called Reggae Garden which is walking distance from our hotel and is also near the city hall. 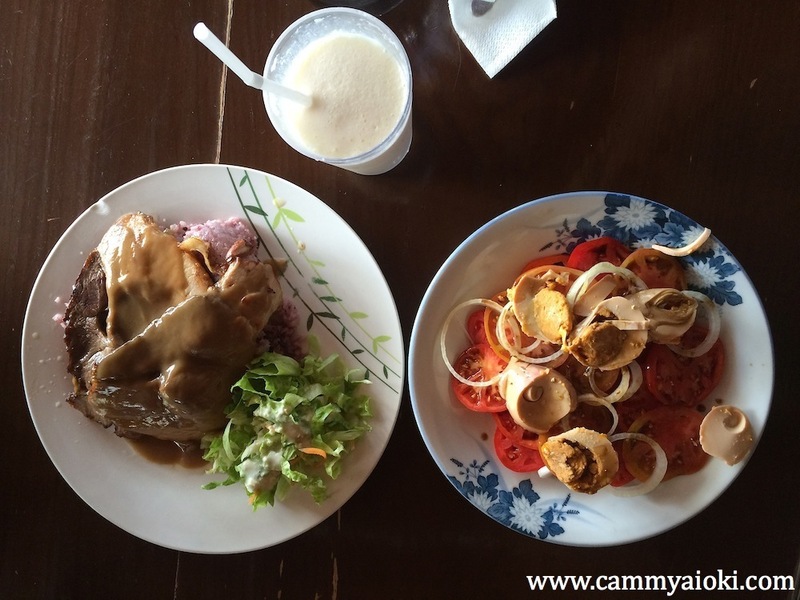 Food and drinks were pretty cheap but of good quality. Sadly, they only open until 10 PM. 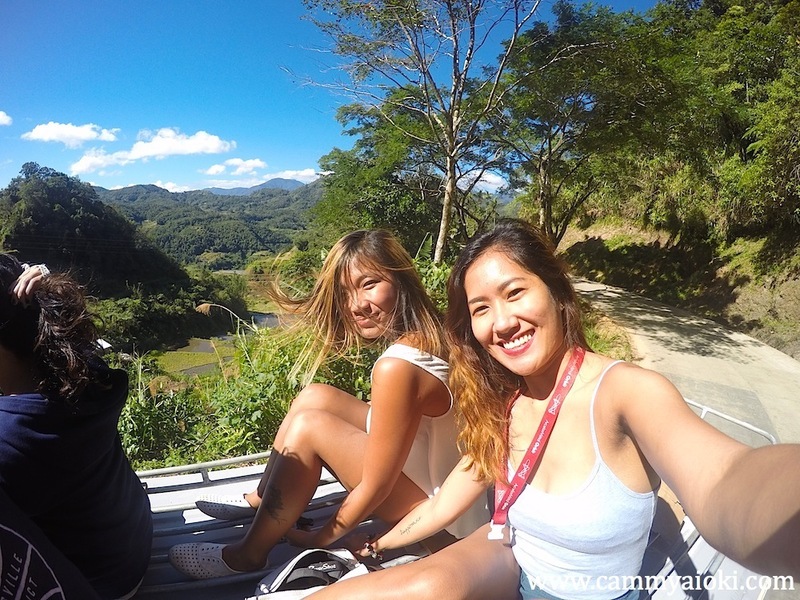 The best way to get to Sagada from Banaue is via a direct van. 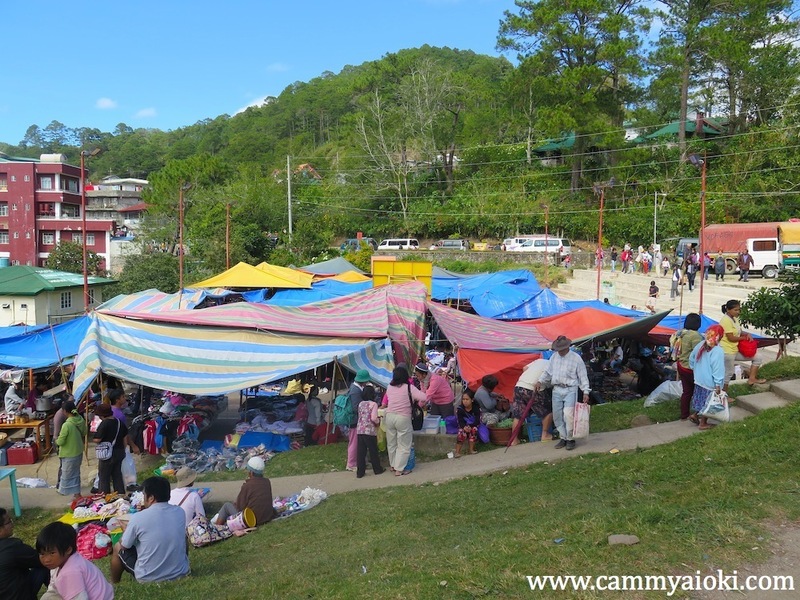 There are jeepneys you can ride for a cheaper price but that would have to stop to get passengers and it won't bring you directly to Sagada. The direct van would be the most convenient, efficient and comfortable alternative. We were able to find this by asking around just right outside People's Lodge. This 3-4 hour ride shouldn't cost you more than 300 php. I suggest you leave Banaue the latest at 9 AM so you can maximize your time. First thing you would need to do is to pay the fee at the Tourist Center. 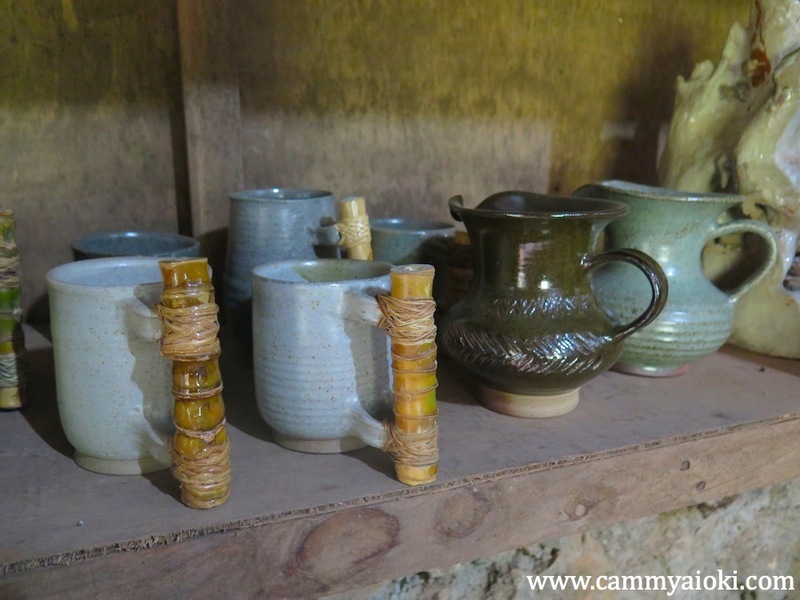 The tour system at Sagada is very organized and efficient. However, it would best fit a big group. So if you're travelling alone or in a tandem, it can be quite pricey as you would have to pay for the entire fee even if it's supposed to be divided by 5-10pax. A. Put a post at the tour center's bulletin board for the tour you want and that you're "looking for company"
We were lucky enough to have met other tourists doing the same tours. 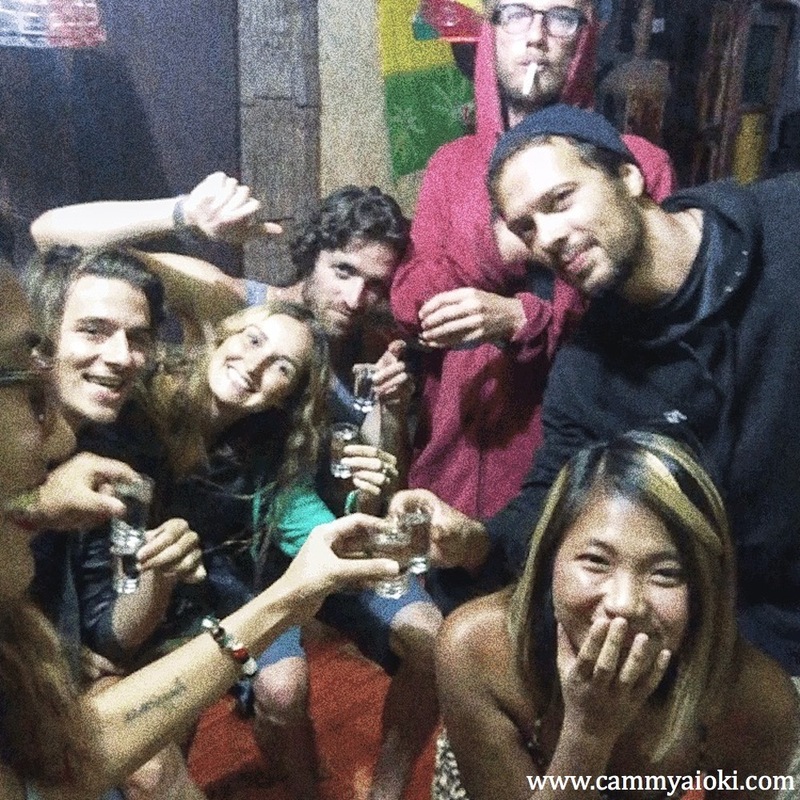 It was a great chance to not only share the cost, but also to make new friends. 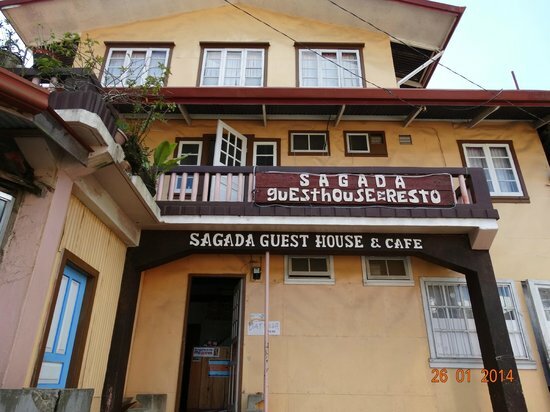 You can lodge at Sagada Guesthouse if you're looking for an affordable place with a convenient location. It's basically located at the center, near the tourist office so it was no hassle for us having to get from one place to another. The room we got was good for two people, with a common bathroom. Cleanliness wise, I had no complaints. 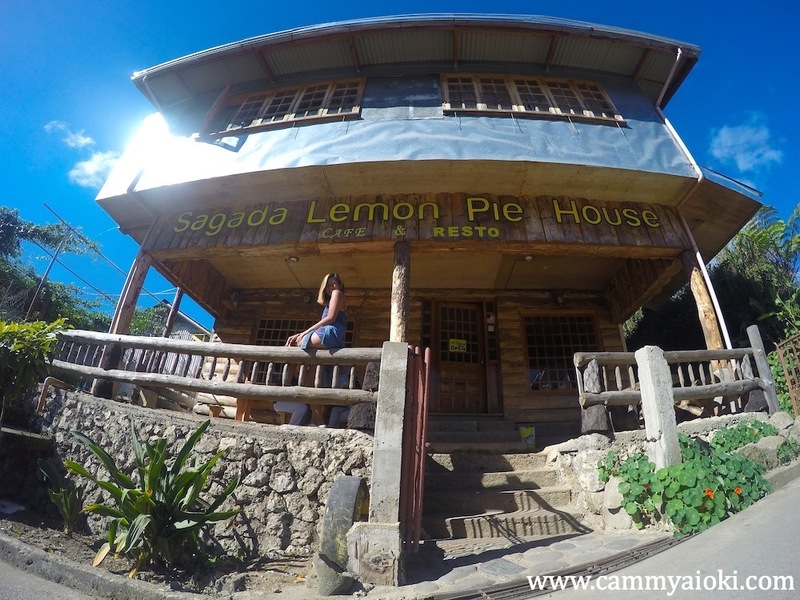 Our first stop at Sagada was Yoghurt House. We were so excited to try it given the reviews. The food was good and I would highly recommend the lassies, however, I expected more from the food especially given the price. Since we didn't have a full-day, we decided to just go to the spots we could easily walk to. Be sure to wear walking shoes and bring water because the walk can be long tiring, but totally worth it. 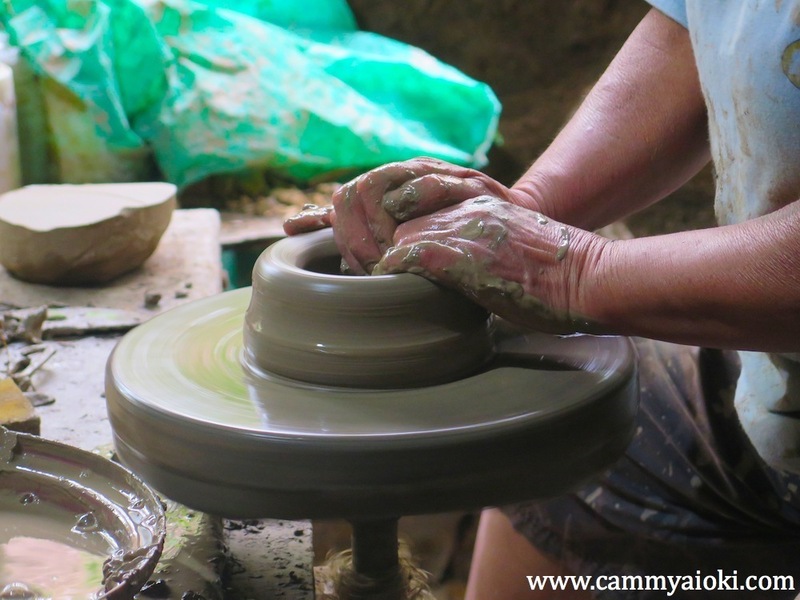 Our first stop was Sagada Pottery which is a few kilometers away from the Sagada Guesthouse. You can watch the short demo and even try it out if you like. After, you can buy or even just browse through the finished products. 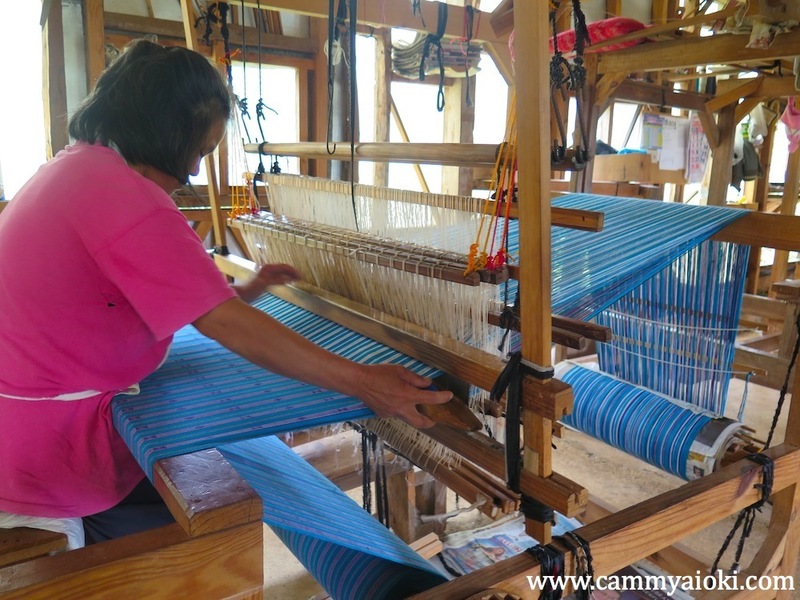 Our next stop was Sagada Weaving. However, do not confuse this with the shop and exhibit as shown in the photo above. 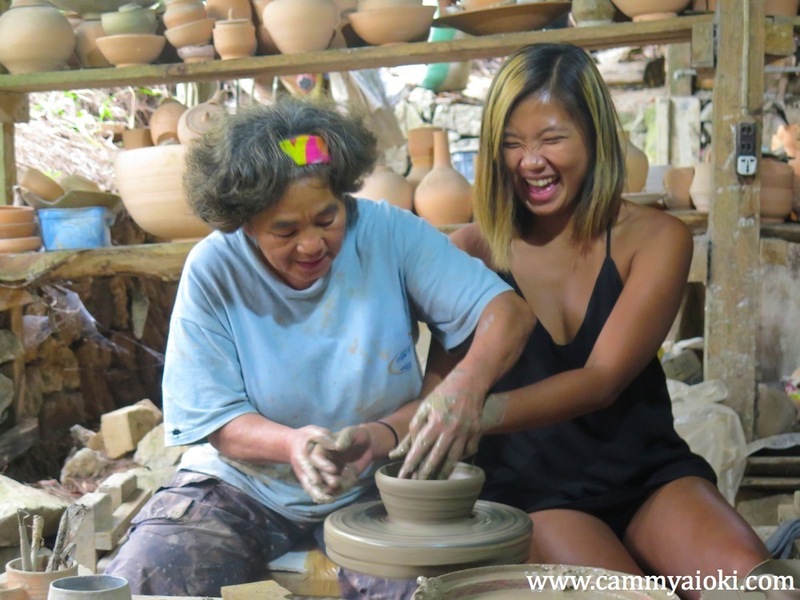 Most tour guides will take you there but I suggest you go to the legit one which is a few kilometers away from the Sagada Pottery. Simply make your way up the road. There will be no signs at all. After a long walk, maybe about an hour, depending on your pace, you will notice a grassy pathway on your right side. 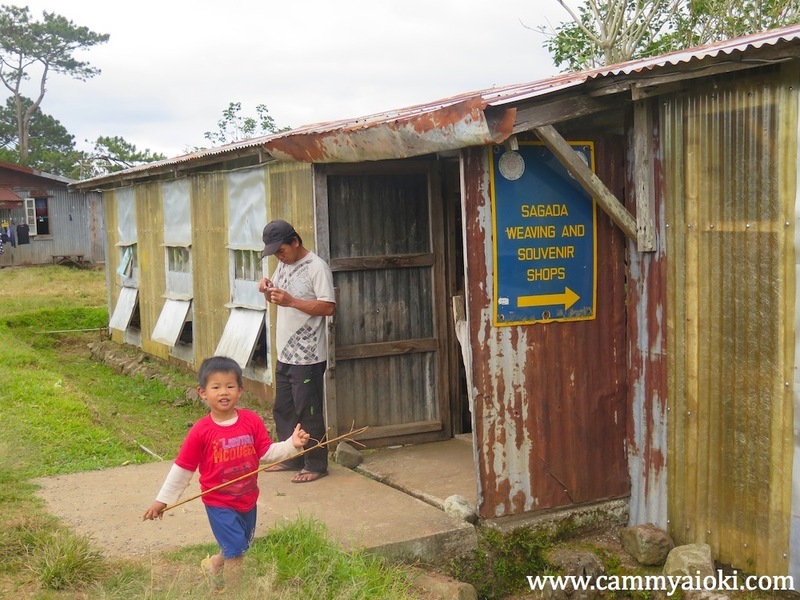 Just walk straight to it and at the end you will see a gate with a label Sagada Weaving. 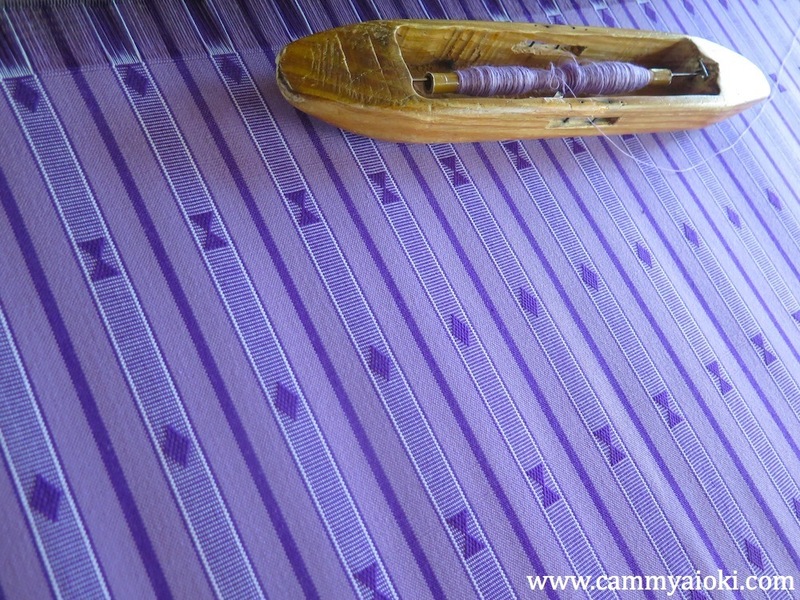 It was nice to see textile being manufactured this way and I found it amusing how the workers manage to create such intricate designs and patterns. It doesn't look easy. Here, you can take pictures but be mindful of your noise level as they are pretty serious. Watch out for the dogs and don't forget to give a little donation on your way out. 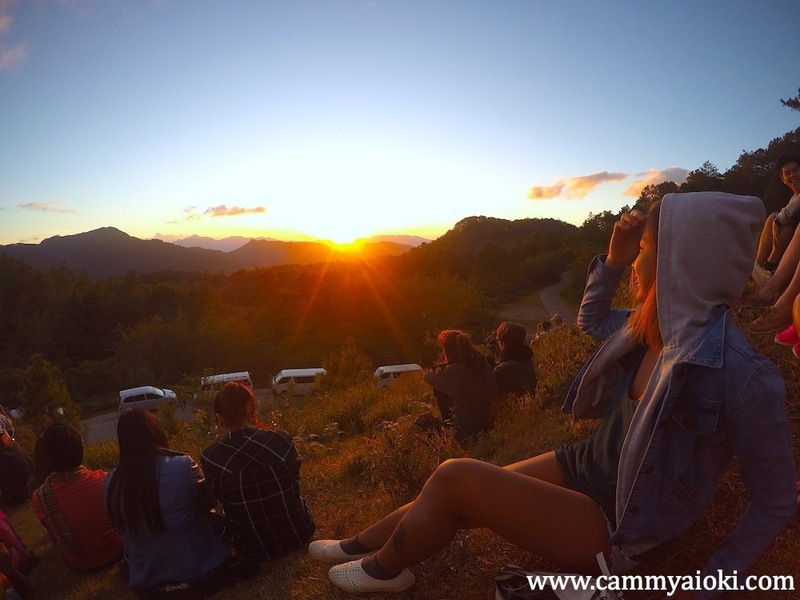 A little past the weaving will be a great place to watch the sunset (at Lake Danum), just be sure to ask what time the sunset is and be there before that time. It won't be hard to find even if you're going there by foot as you will see lots of cars and people going towards a hill to get that view. 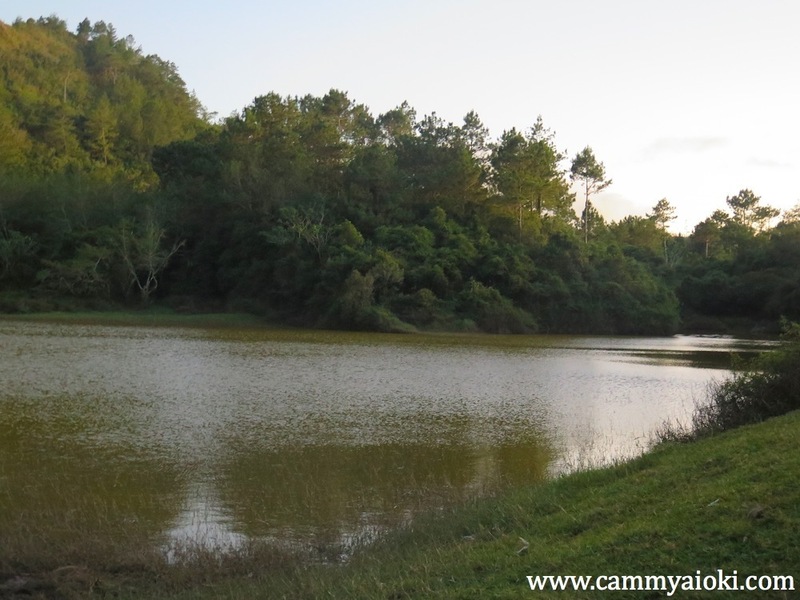 After sunset, people usually head on over to Lake Danum to chill and for photoops, but you can skip that if you want as there wasn't really anything to see aside from the lake. You might enjoy it more if you organize a bonfire of some sort. By this time, the temperature will be really cold. You can walk the lake from the hill, however you can also opt to hitch a ride. Watch out for poop! 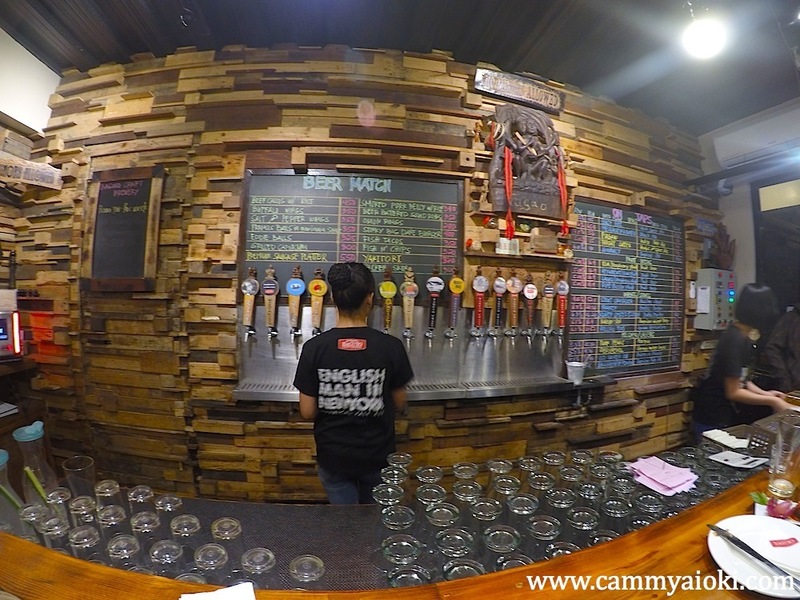 You can end the day at the famous Cellar Door which will be on your way back to the center, close to Sagada Pottery. A lot of people recommended this place. True enough, I was really impressed with both the interiors and exteriors. 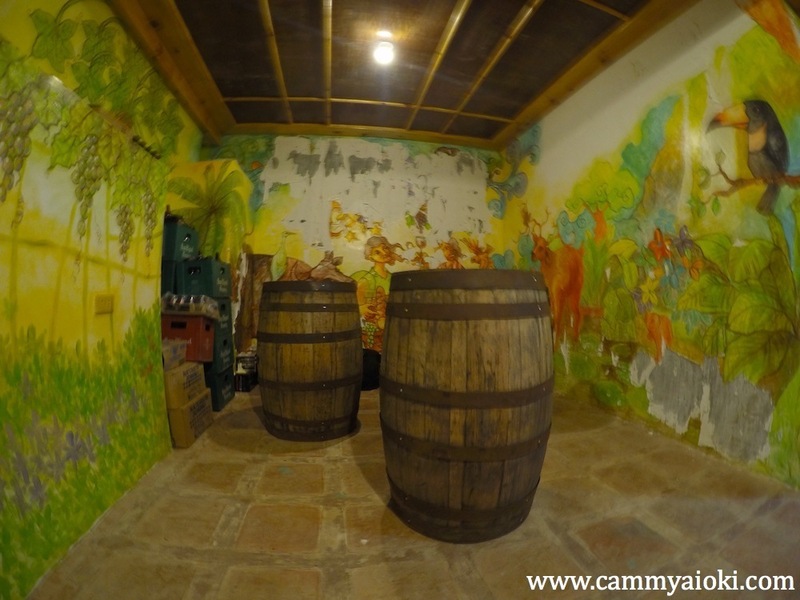 Unfortunately we weren't able to enjoy the Cellar Door experience because reservations are needed prior to visit despite the ad online saying theyre open from 4-9PM. They were fully-booked at that time, but the owner tried to squeeze us in for dinner, however we already had plans for that evening. 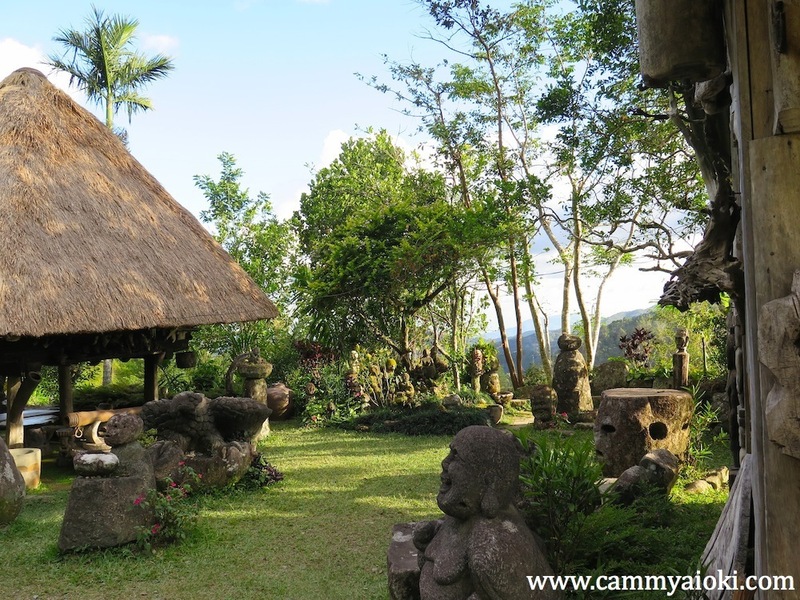 Be sure to try their Ifugao Dinner and tell me about it if you get the chance. 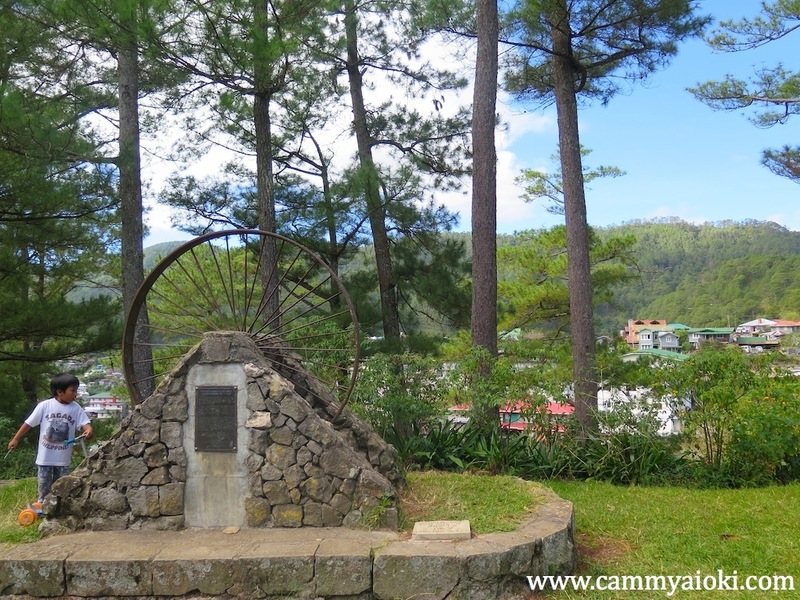 Sadly, Sagada also implements a 9/10 PM curfew, but we simply cannot accept that! 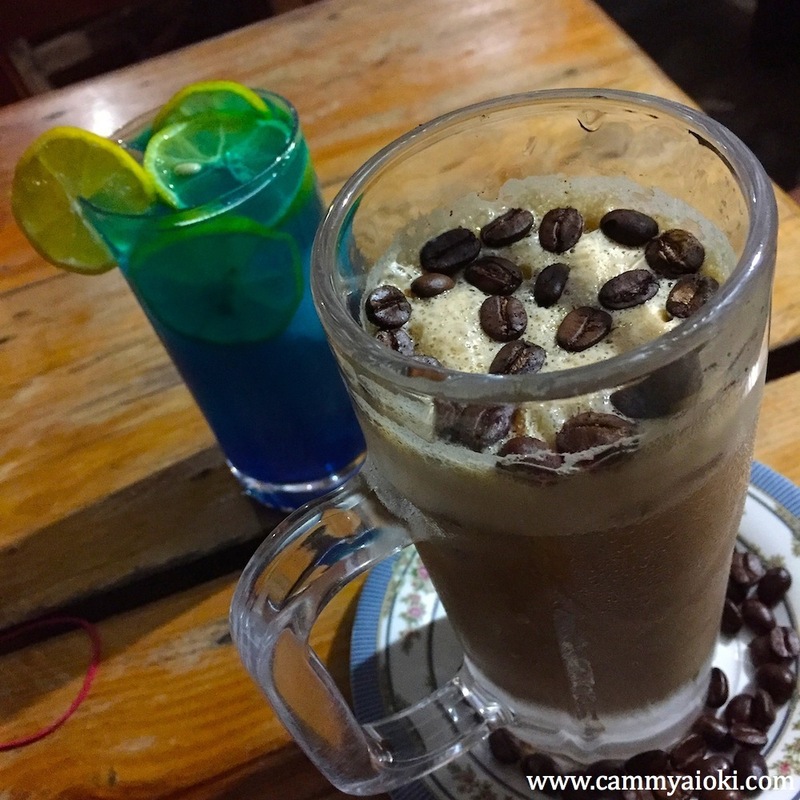 If you're looking for a fun place to nightcap, head on over to Bamboo Grill (actually, I'm not really sure what it's called), which is right beside Kimchi. 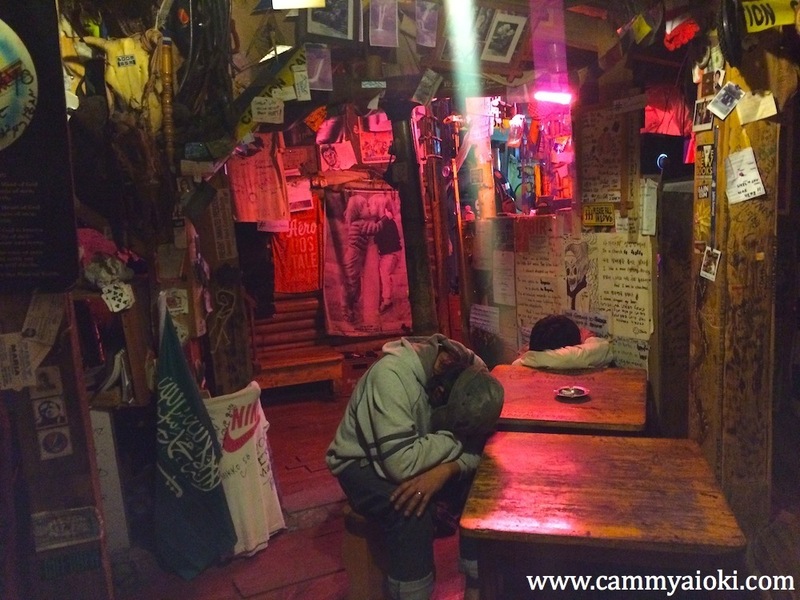 It's a really cozy, artsy and chill Reggae Bar. We really just planned to have 1 drink(s) but ended up staying till around 2am as we enjoyed the endless conversations we had with the new friends we met there. 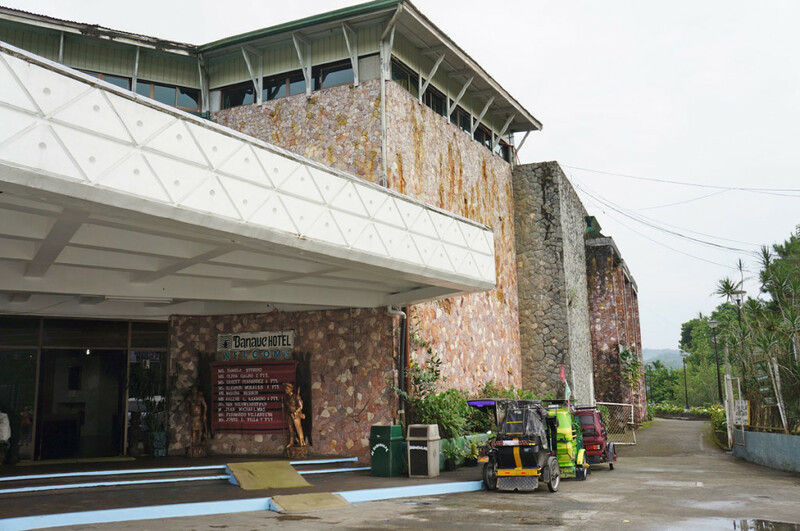 located along south road, a few steps going down from the tourist center. It will be to your right. It was probably a bad idea to have a late night out as we had plans of watching the famous sunrise at Kiltepan. So, for that day we ended up nursing our hangover in the morning. 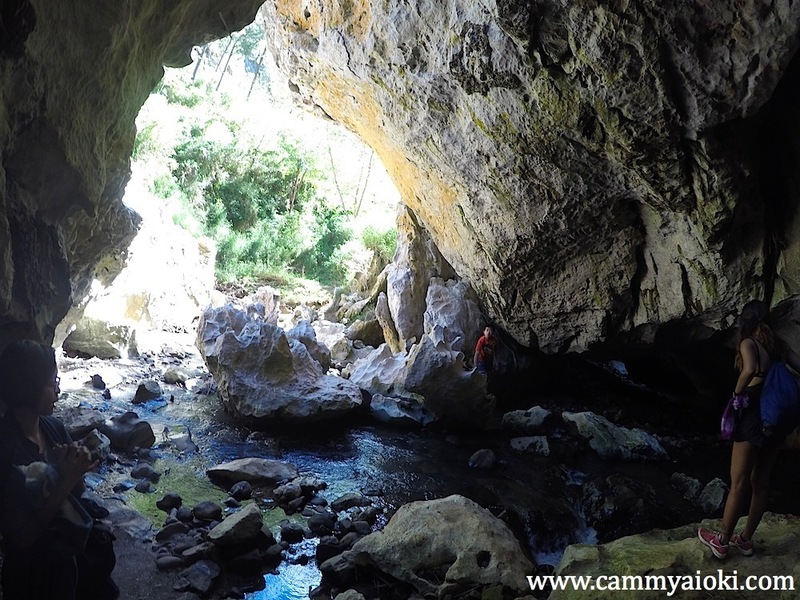 If you're sober enough, use this time to do the Cave Connection tour. 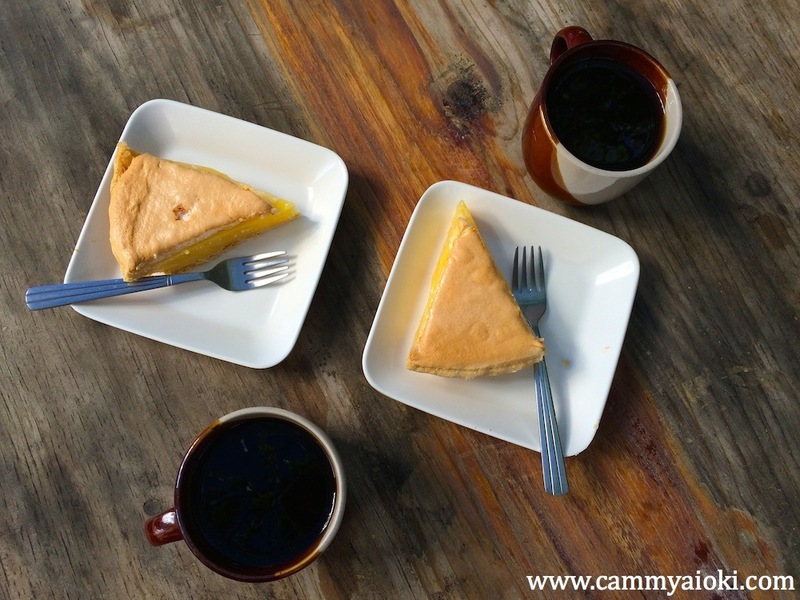 Be sure to check out the lemon pie at Lemon Pie House. There was so much rave about this and you really won't understand why unless you try it yourself! 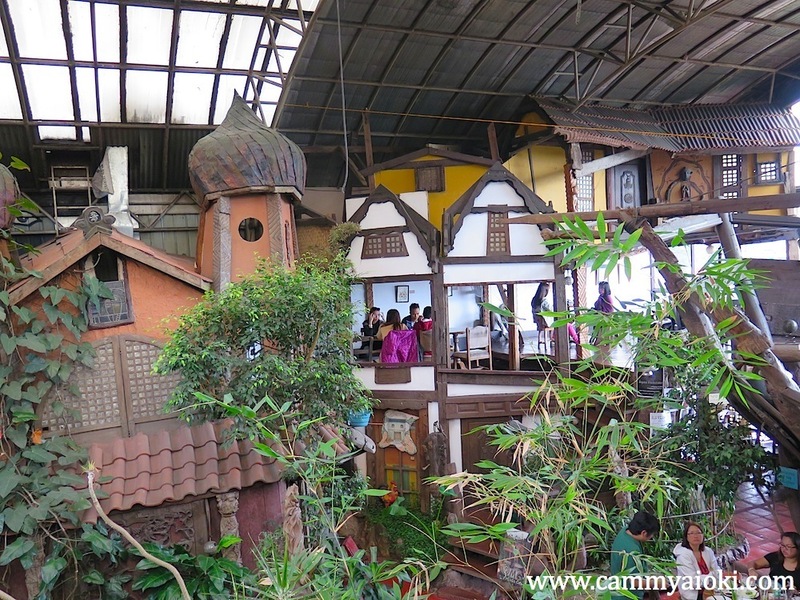 People would prefer to eat inside but the mini garden outdoor seems like the perfect spot, especially for breakfast. Get ready for a trek! The Adventure Trail won't tire you as much. 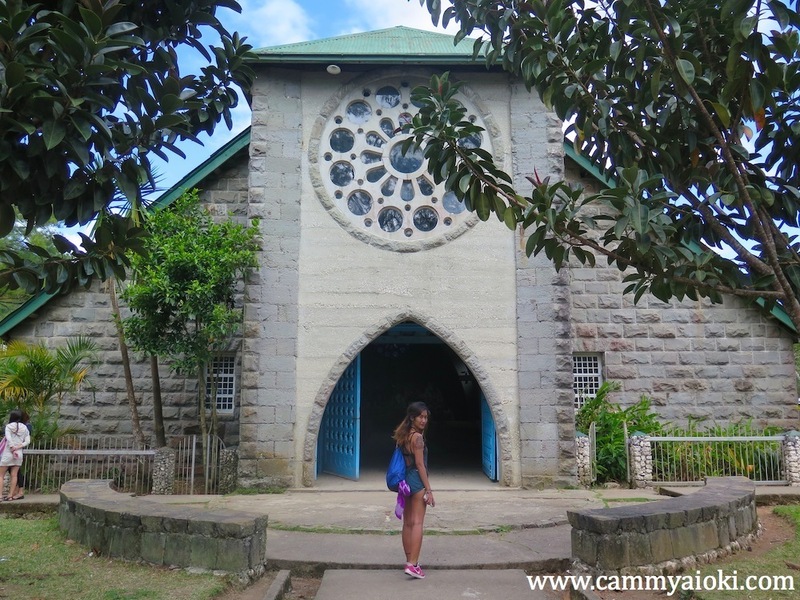 It involves exploring St. Mary's Church, Hanging Coffins, Echo Valley, Underground River, and Bokong Falls. 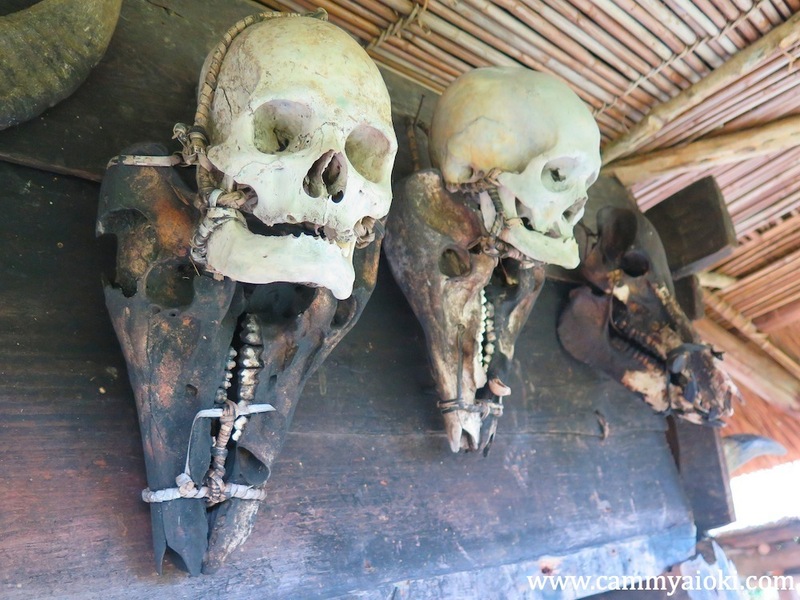 This walking tour starts at the center, near the tourist office, and then passing through the church and cemetery as you make your way to the Echo Valley and then down to the famous Hanging Coffins. The Echo Valley is called such because it literally makes an echoing sound as you go down the trail. 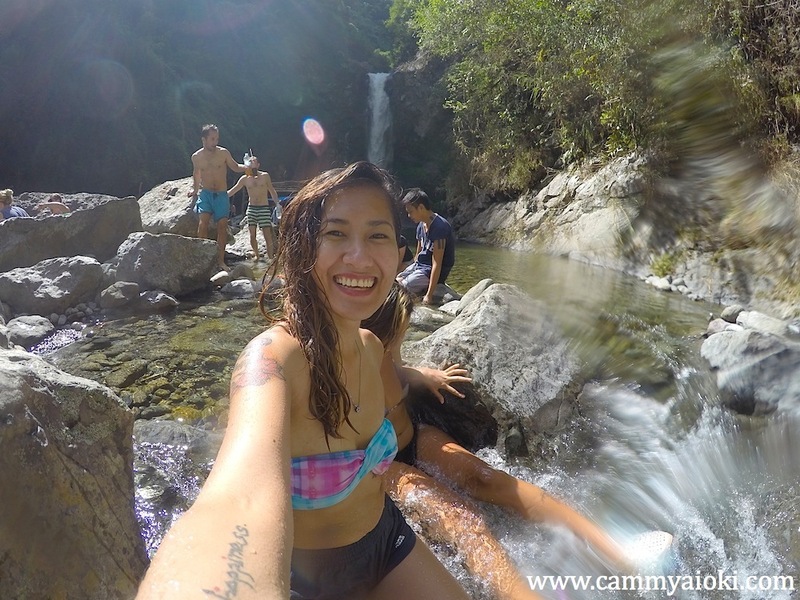 It's a good spot to exclaim "walang forever!". 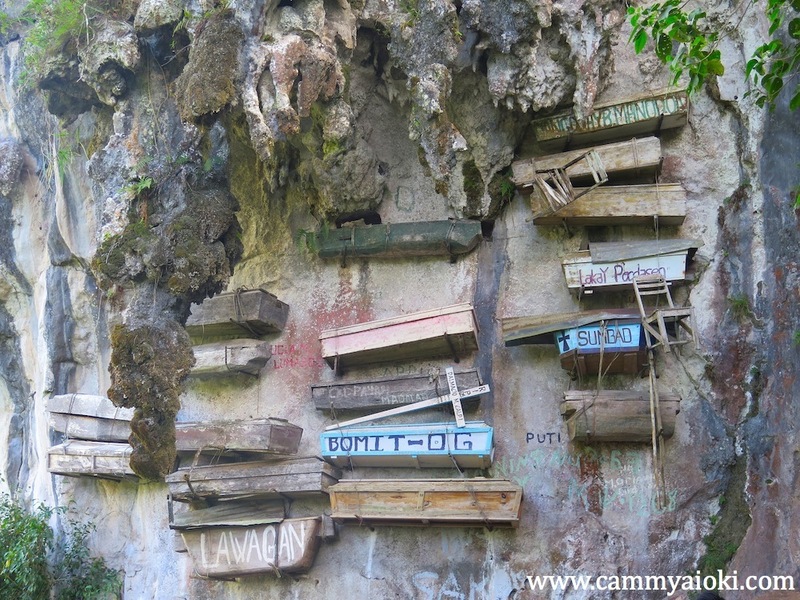 Up until this day, there are still a lot of coffins hanging at random places. 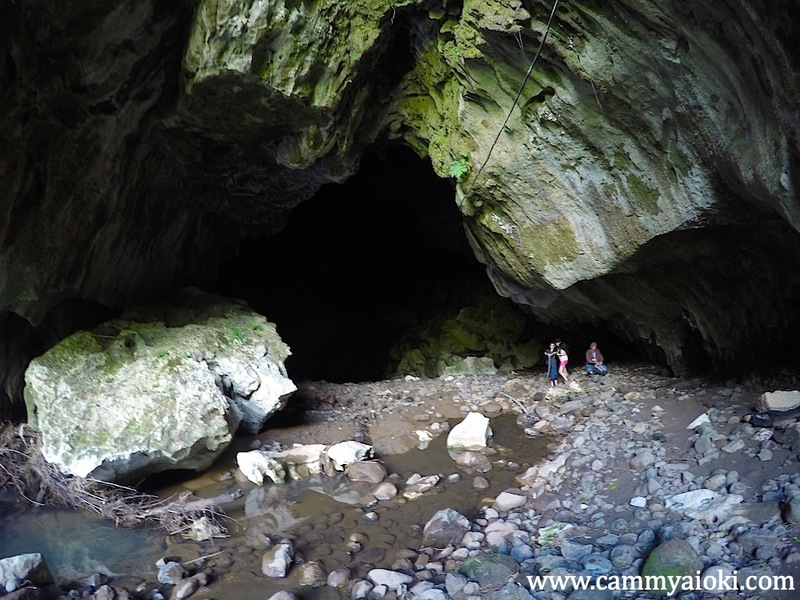 You will then pass through the dark underground river by foot. It was quite an adventure. 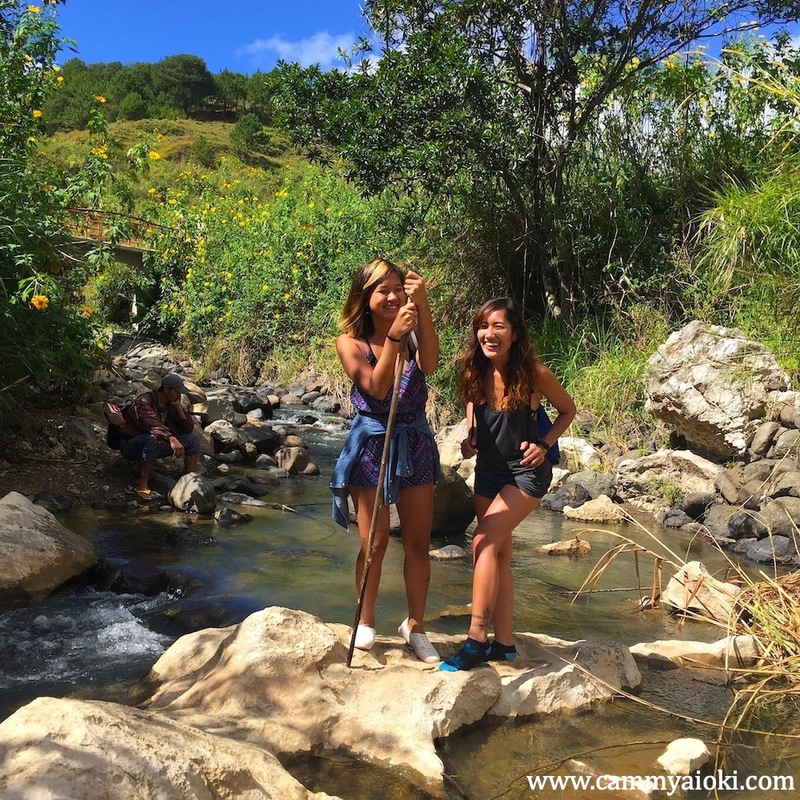 The hike was easier than that of Batad's. 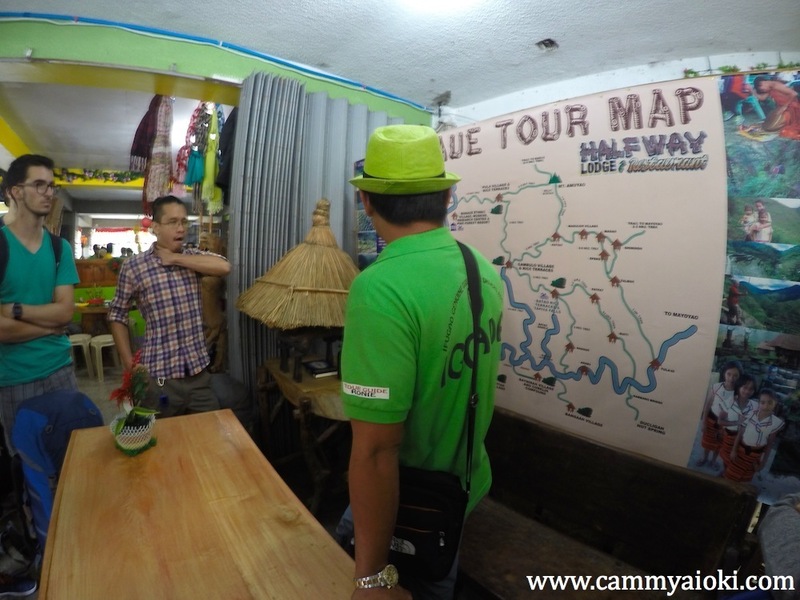 It would also be a plus to have an entertaining guide, like Larry (Yuan Segundo), who had a lot of "fun facts" about the tour. Be sure to look and book him at SAGGAS. 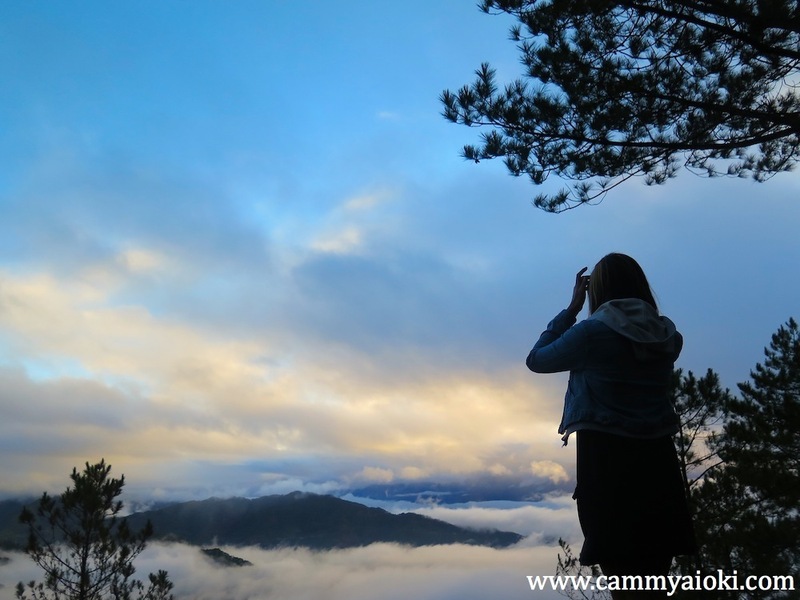 I was a bit disappointed about going to the places that a lot of people rave about in Sagada, so I decided to go somewhere underrated. 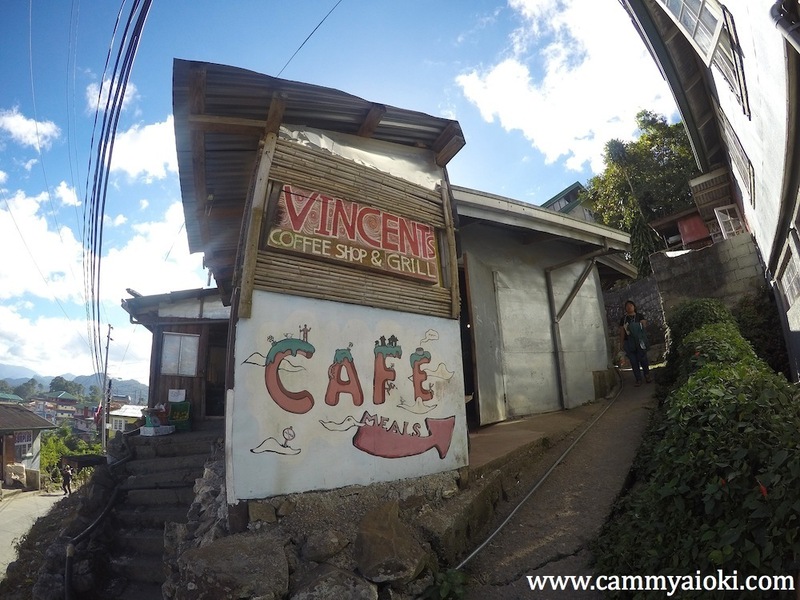 We discovered a lutong-bahay (home-cooked) restaurant called Vincent's Coffee Shop and Grill. 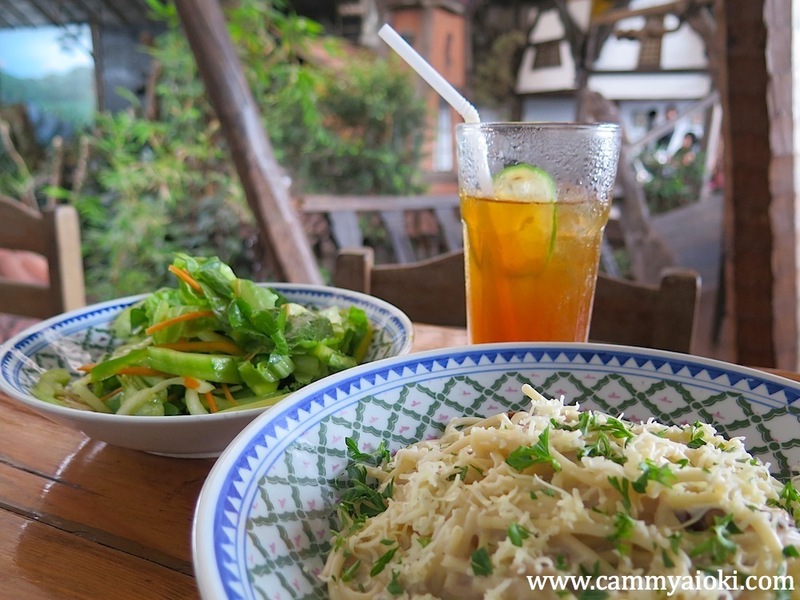 The location is quaint, small and homey, but prepare to be surprised by how good the food is - and reasonably priced too! Definitely a good-find. We wanted a chill night out so we passed by a place called Salt and Pepper. Didn't really try the food but by the looks and smell of it, it was tasty. It's also a good place to grab a few cocktails. 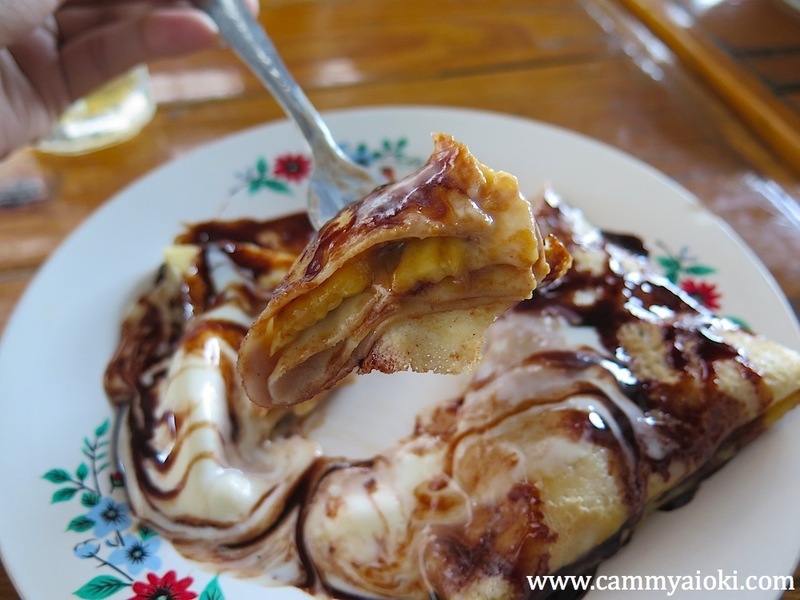 If you're looking for a place to get dessert, visit French Crepes and have a taste of one of the best crepes you'll ever have in the Philippines. They use whole-wheat batter which adds an extra kick to that supposedly plain base. The line can get pretty long but it would be worth the wait. 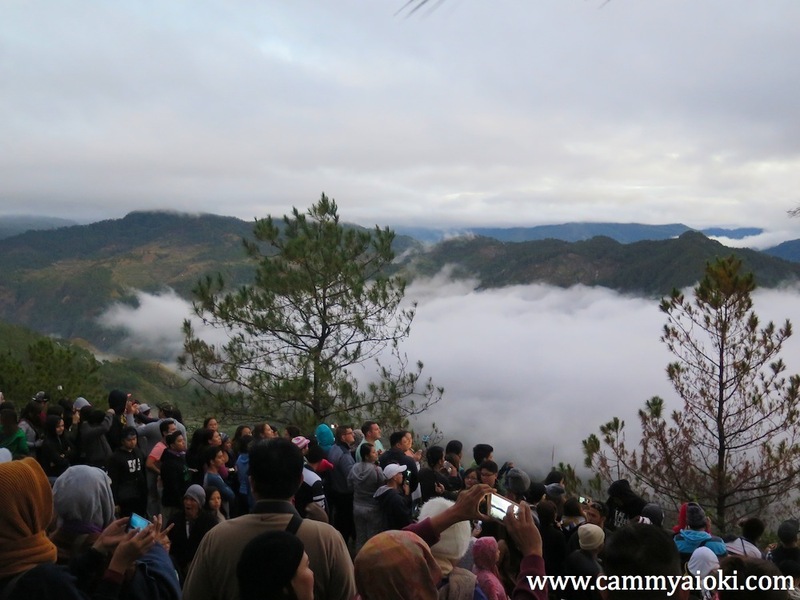 You can maximize your last day at Sagada by watching the sunrise at the famouse Kiltepan. For this, you will need to wake up early as pick up starts as early as 4:30 AM. There will be a lot of people, so prepare for your view to be covered by countless selfie sticks. Nevertheless, it was very romantic. Meron nga bang forever? 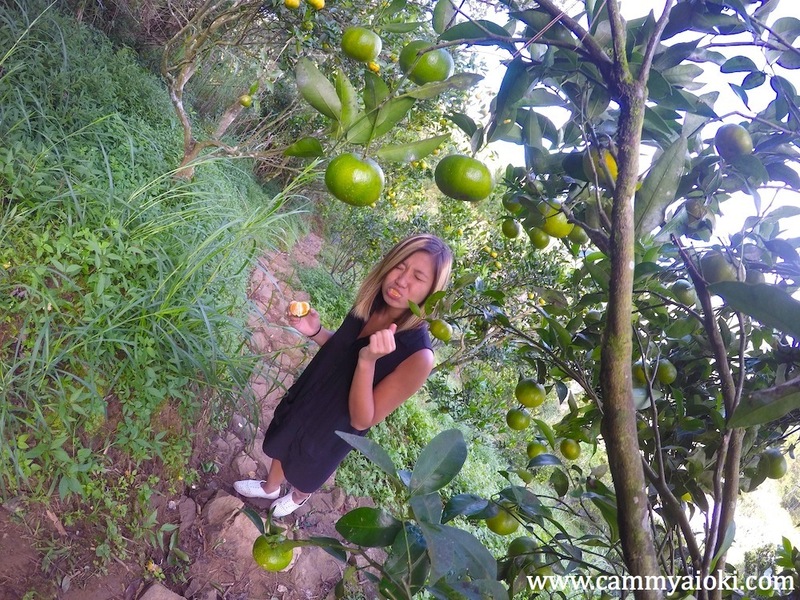 You can opt to have breakfast at Rock Inn and Cafe and get a chance to go orange-picking. 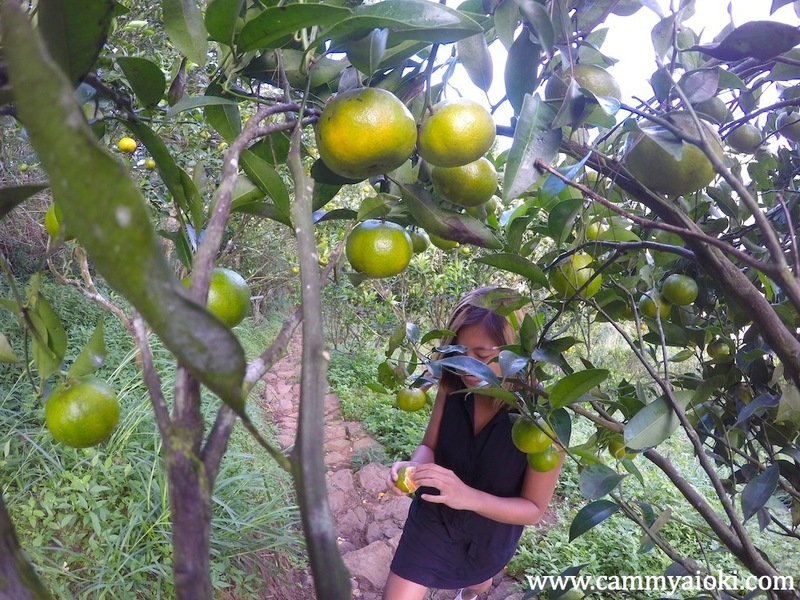 I didn't even know we had orange trees in the Philippines. How naive of me. The 30-minute tour didn't only involve picking oranges, but also being educated about how the trees are planted and taken care of. 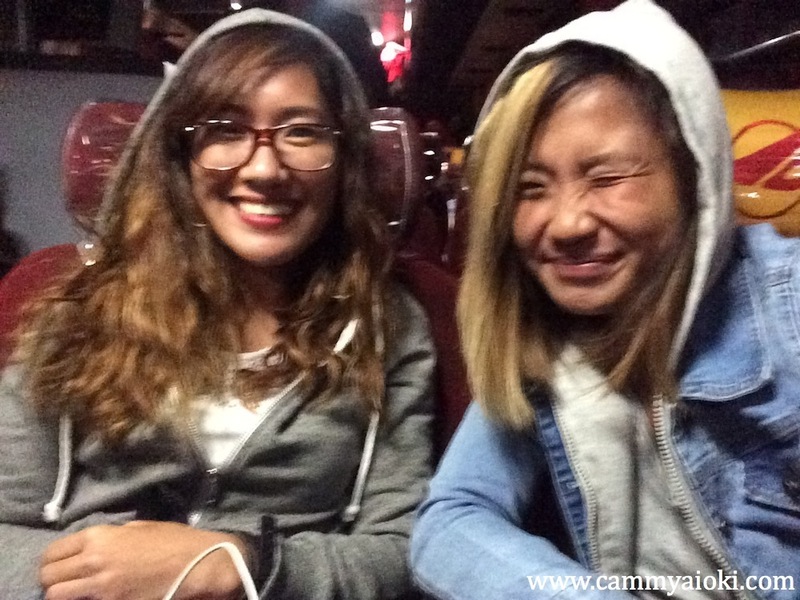 Be sure to be back at the center by 10 AM so you can catch the bus enroute to Baguio City. 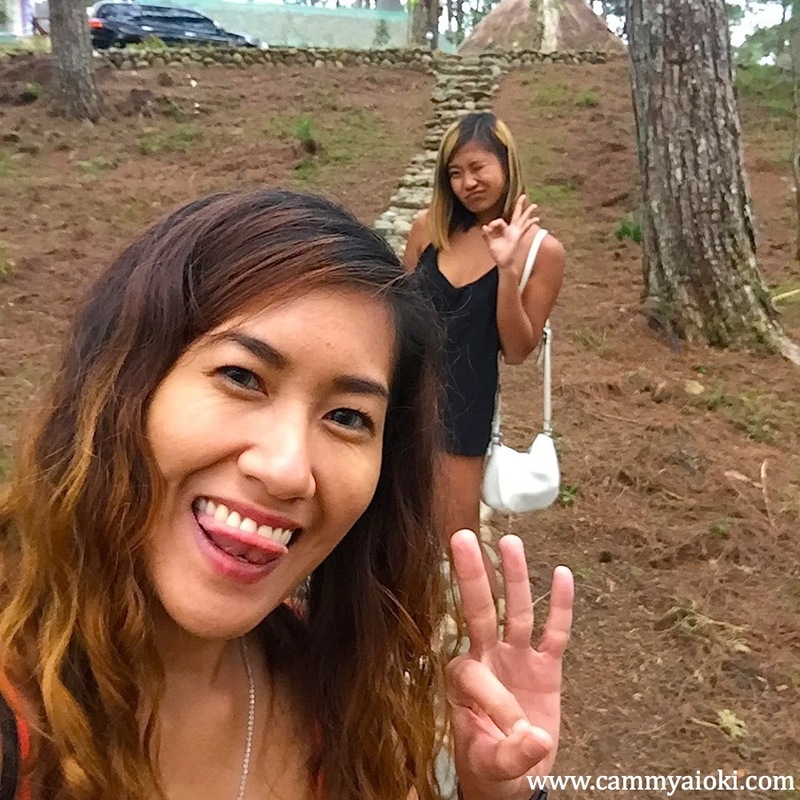 The first thing we did at Baguio was EAT HEALTHY! 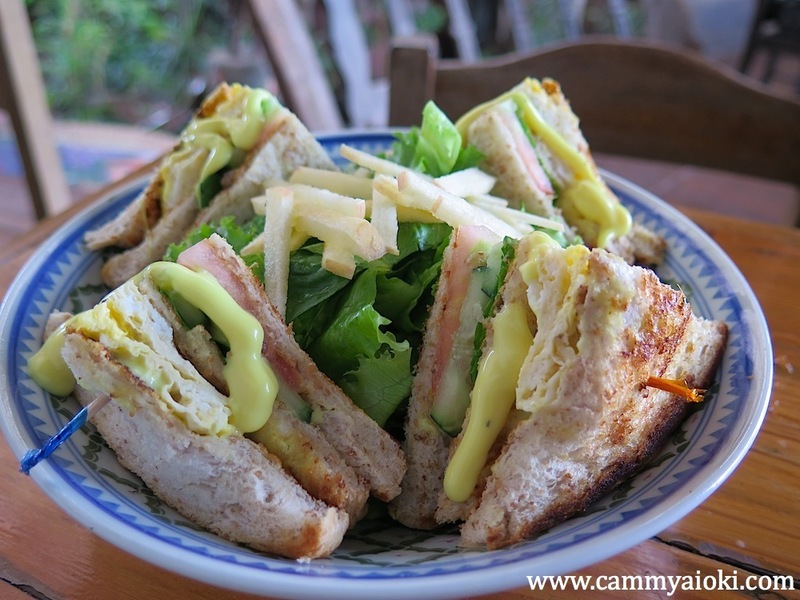 There's an artsy vegetarian place hidden at the building of Azotea called Oh my Gulay! Photos don't do justice. The interiors make you feel like you're in a jungle. 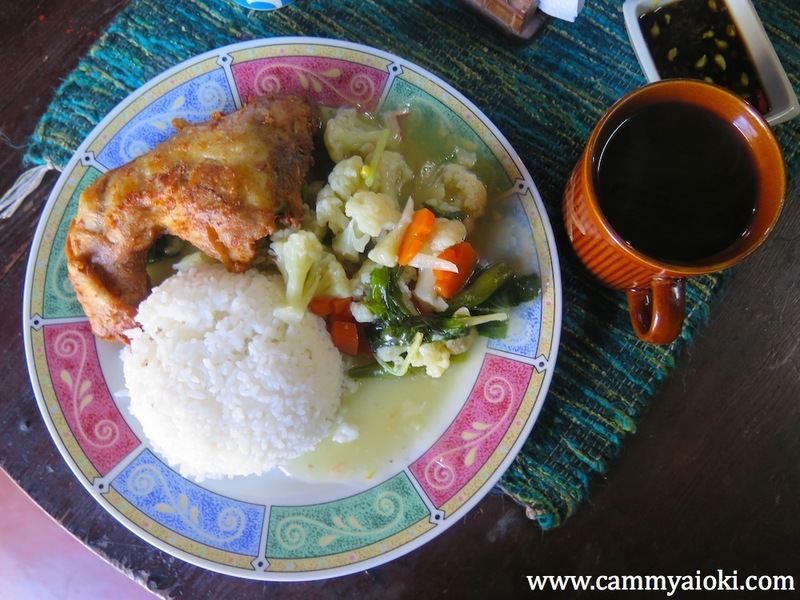 Everything they serve is vegetarian and the produce are locally grown. 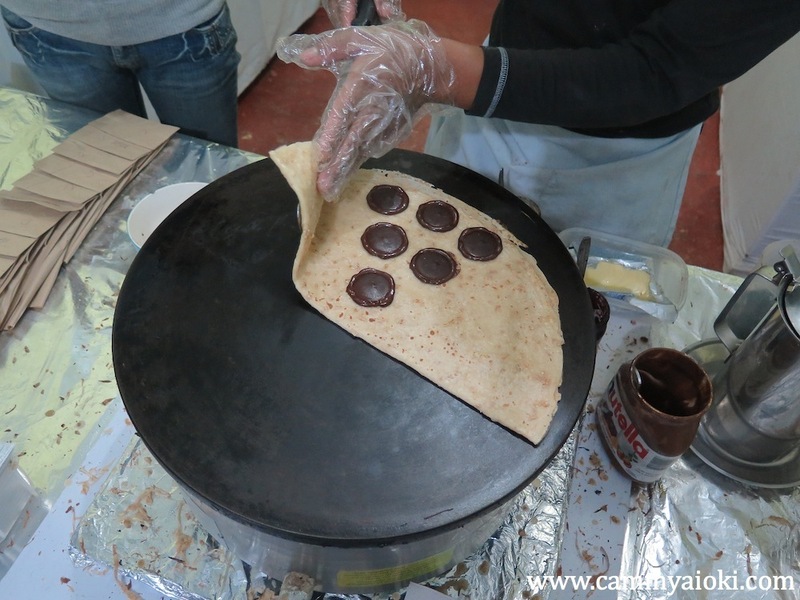 However don't underestimate the food items though as it can also be really filling. 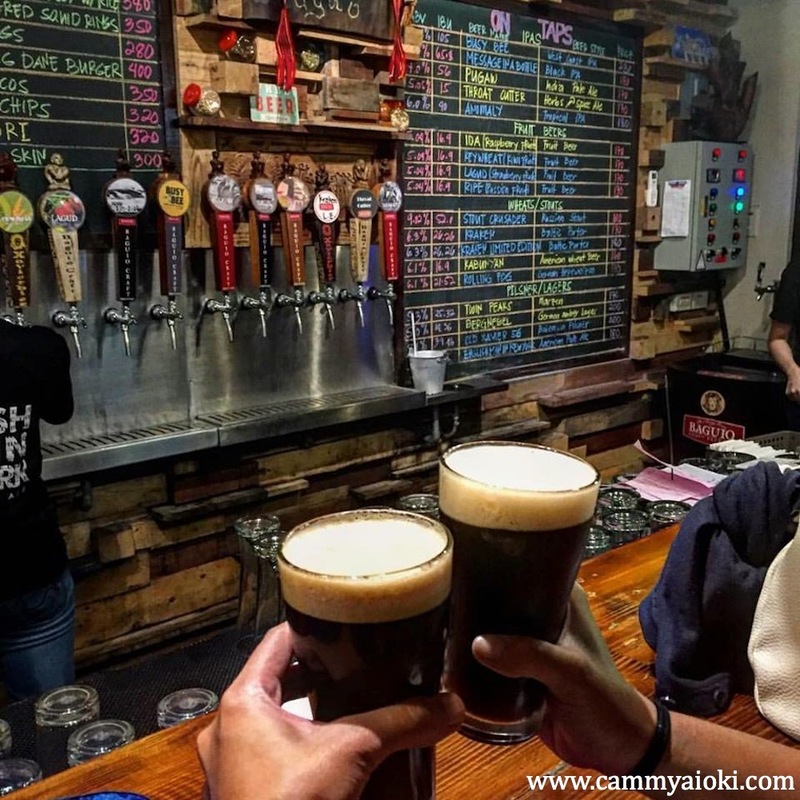 One of the best spots to drink at, at Baguio City, is a brewery called Baguio Craft Brewery which serves locally brewed beer. I found it quite pricey given that it's produced locally, but to be fair, the draft beers they serve are of imported quality. 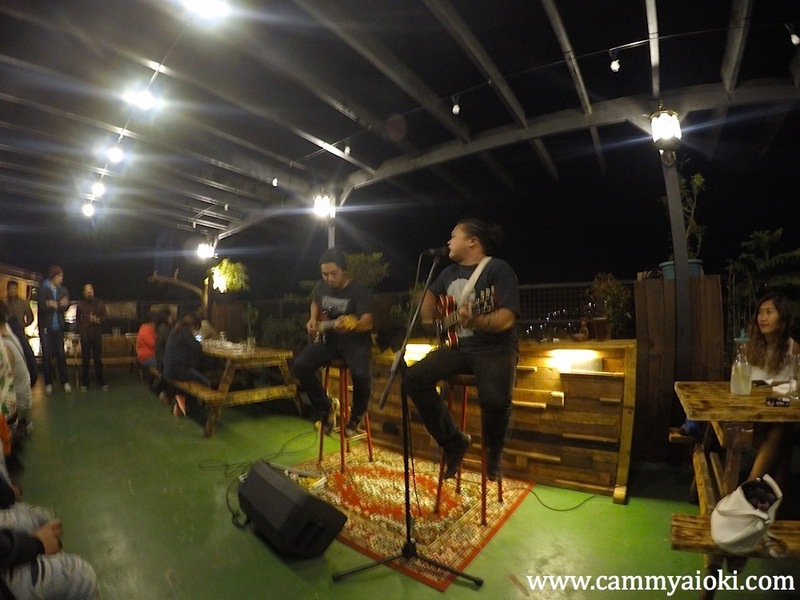 Be sure to check roof deck for some live music, if not, then just for the ambiance. ... and that concludes our awesome adventure! Going home we decided to take the luxury Victory Liner Bus at 11:15 PM so we can simply pass out on the journey. I wouldn't have had this much fun without my crazy Vanessa! Till the next one! 1. Pack snacks such as crackers, peanuts, trail mix, candy, cheese spread, etc. as these will get you a long way, plus will help you cut down on costs. 2. Bring shoes with strong grip. You can also opt to bring "amphibian shoes" like Native. It served me well. 3. 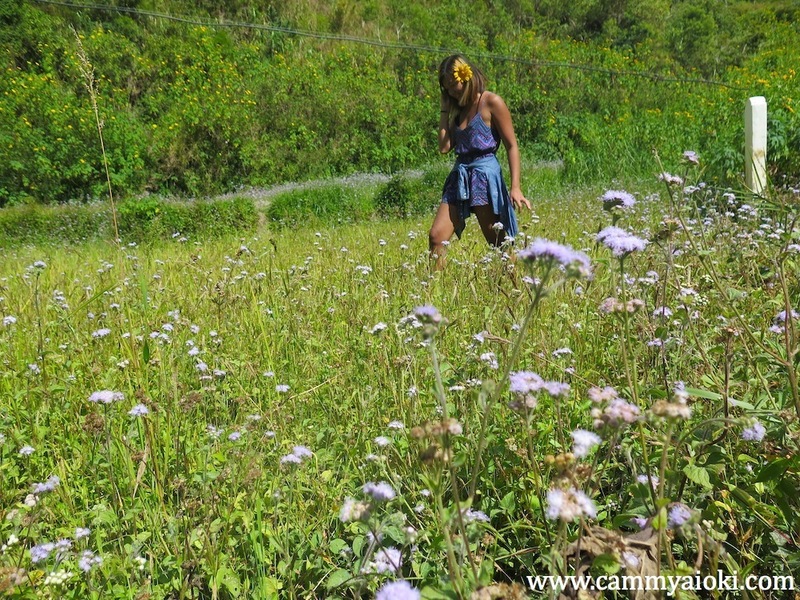 You can wear shorts in the morning as it can be a little warm especially at banaue. We noticed people fully prepared for the cold, but for some reason we managed to wear bikins, shorts, cropped tops, and backless dresses. The temperature was bearable so just invest on bringing a few cardigans. 4. Bring Cash! ATMs are hard to find. 5. Bargain with the tour prices! Don't settle for the first tour offer you see. Scout for the best price. 6. Shared tours are better especially if you're not travelling in a big group. This will help you cut down on costs and as well as meet awesome people. 7. Bring powerbanks! The hotels don't have sockets in the rooms. You can charge at the counter, and it was generally safe to leave your gadgets there. 8. Bring proper swimwear! Please oh please I beg you not to swim in T-shirt and shorts! 9. Always bring a water bottle. It's important to hydrate. For some reason, most establishments offer free water refill. Take advantage of that. 10. Drink coffee! 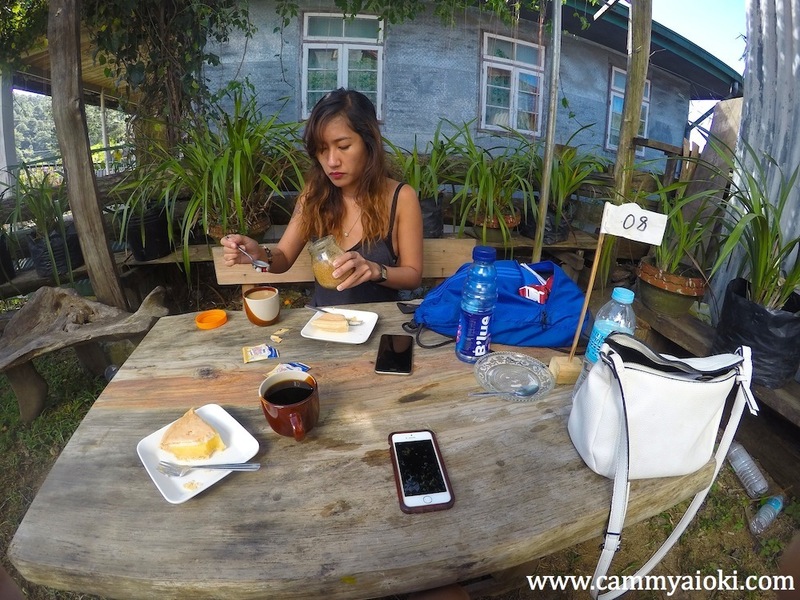 Sagada and Banaue has one of the best local coffee in the north! 11. Don't be afraid to talk to fellow tourists and travellers like you. Have fun!